The Parrwang Youth Arts Program connects Aboriginal and Torres Strait Islander young people aged 11-21 who are socially and culturally isolated. This is achieved through a range of traditional and contemporary workshops that explore storytelling utilising a diverse range of arts disciplines such as dance, drama, visual arts and music. Workshops are led by Aboriginal and Torres Strait Islander practitioners and the program is facilitated by the Parrwang Youth Arts Coordinator. The Parrwang Youth Arts Working Party, inclusive of key Aboriginal leaders within the community, has been established to guide the program. The Parrwang Youth Arts Program was developed in 2017 in response to the community’s desire for a safe and creative space for the 700 young people who identify as Aboriginal and Torres Strait Islander in the Geelong region. A place to gather, build personal and cultural connections and to foster friendships through arts-based activities has been established. The underlining purpose of the program is to enhance the confidence and pride of the young participants, as they gain a greater understanding of their cultural history. The Scholarship Program provides financial support to at-risk young people living in Kids Under Cover Houses and Studios who are engaged (or are looking to re-engage) with education and job training. Kids Under Cover’s combination of accommodation with scholarship support helps at-risk young people as part of an early intervention strategy to prevent homelessness and support young people to stay at school or undertake job training. The Newsboys Foundation has been a proud supporter of the scholarship program since 2011. Each year, Newsboys supports about 20 scholarships for young people Victorians aged 11-21. The Ocean Mind programs enrich the lives, wellbeing and connection of young people in the Greater Geelong region who at risk of or are experiencing mental health challenges. Through a simple formula of surfing, mentoring and friendship, Ocean Mind is addressing the risk factors associated with mental health and providing opportunities for young people to be nurtured, grow and prosper. 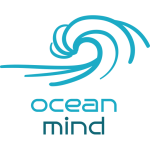 Ocean Mind’s innovative model increases the community’s capacity to support itself, developing the skills of both adults and young people to support one another through difficult times. The Mobile Activity Centre Program is conducted by the St Kilda Police and Citizen’s Youth Club. The program operates in local housing commission estates in Prahran and Port Melbourne to assist disadvantaged and at-risk young people aged 10-17 years. It is an early intervention program that engages young people through recreation and sport to provide mentoring to improve young people’s self-esteem, behaviour and attitude. The program also allows young people to engage in positive social, recreational and physical activity. The program facilitates fun games, team building and trust activities in a safe and supportive environment. 14 years ago, the inaugural VicSRC Annual Congress was organised by secondary school students and launched as a forum for discussing and advocating solutions to the biggest issues in education. Today, Congress remains student-designed and student-led, supported by the VicSRC staff team. Each year at Congress, 200 students set the advocacy agenda for VicSRC, promoting change through skill-building workshops and identifying the issues most important to Victorian students. Congress improves educational outcomes and student engagement by empowering young people to advocate for change within the education system. VicSRC strives to ensure the event is accessible, diverse and representative of Victorian students. Newsboys funds ten rural and regional scholarships as well as overall support to conduct Congress. The Bursary Program, funded by the Newsboys Foundation, will support at least 10 talented ballet students, aged between 11 and 21 years from Victoria, in 2019. The Australian Ballet School’s vocational ballet training program is an intensive eight-level course aimed at training dancers to the highest international standard. Dancers are trained to be technically outstanding, artistic and to represent their art form at the highest level, locally and internationally. The Bursary Program aims to ensure that no student is prevented by financial constraints from training at the Australian Ballet School. Without the financial assistance provided by the Bursary Program, many talented students would otherwise be unable to attend and reach their potential. Helping Hoops Future is a free, multicultural basketball program for older Helping Hoops participants aged 15 to 21. The participants have come from Helping Hoops community programs and are now seeking more challenging and targeted experiences. The program runs every Wednesday from 6 to 8pm at Victoria University in Footscray and is overseen by coach Kelvin Bowers. The program delivers basketball training and social outcomes in a participation-based, inclusive and encouraging environment. 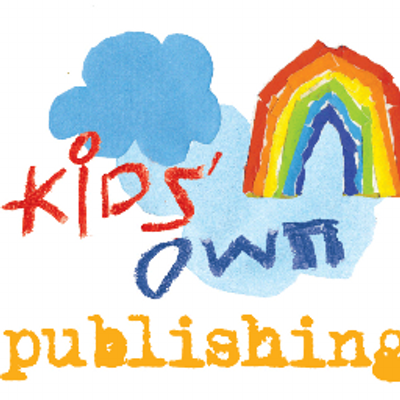 Kids Like Us Australia Limited (KLU) (founded 2013) is on the precipice of signiﬁcant growth. Funded by the Newsboys Foundation with pro-bono professional expertise by Social Venture Partners, the “KLU Transformation Planning and Management Project”, will include the opening of Australia’s ﬁrst school for twice-exceptional (2e) students, the development of a 2e Research Centre and other areas of program development which will have the potential to impact lives of tens of thousands of young people in Australia. “Twice-exceptional” refers to someone living with two “exceptions” that deviate from the norm – one of these exceptions being a gifted status. The second exception is a challenge, difference or disability of some kind. Such people are considered “exceptional” both because of their giftedness (which can be to do with their intellect, creativity, perception or motor skills, to name a few) and because of their special needs (e.g. a specific learning disability, or a neurodevelopmental disability). Many mainstream schools and some families are equipped to handle one or the other of these exceptions, but the combination of both exceptions manifests in a uniqueness that goes beyond their existing skills. It has been Kids Like Us’ work in the past five years to provide these young people with educational and emotional support to provide the framework they need to succeed in academic and professional life. KLU currently has the capacity to support up to 700 twice-exceptional young people (aged up to 21 years old) at their counselling and learning centre in Beaumaris, however the potential number of 2e school-age students currently unsupported in Victoria is estimated to be 35’000. KLU has developed a new vision for the future that will deliver capacity to address this shortfall by leveraging innovative delivery models to prepare the 2e community to contribute their massive talents to the community and live productive and fulfilling lives. The grant funds will be invested directly into the transformation project that will position KLU for the future that KLU is currently scoping and finalising with the assistance of Social Venture Partners. Over a three-year period from 2019-21, the Newsboys Foundation Regional Music Award and Master Class Program aims to provide development support to 50 young people aged 12-18 who have a special musical gift and study in Government schools in regional and rural Victoria. Gifted music students in regional and rural Victorian Government schools are often isolated, which leads to low motivation and unfulfilled potential. They do not have easy access to specialised music tuition, a like-minded peer group, nor opportunities for high quality ensemble playing. Through this program, an annual series of three master classes conducted in three different regional centres in conjunction with Melbourne Recital Centre’s regional touring program enables musically-gifted local students to interact with and learn from professional chamber ensembles. The Regional Music Award enables one student per year to access a week long, personally-designed, intensive musical learning program in Melbourne. Both programs develop young people’s technical and artistic skills, and provide access to professional musicians and music organisations that are otherwise unavailable to them. This, in turn builds confidence and self-esteem, opens their eyes to the professional music pathways available and establishes the necessary networks to pursue these pathways, all of which enable them to fulfil their true potential. The Spectrum Education Support Program, delivered in the Darebin local government area, will provide homework/learning support sessions once a week during school terms in 2019. The program creates an inclusive space where students from refugee and migrant backgrounds receive homework/learning support within small groups and one-on-one tutoring. The program is coordinated by a project officer and is supported by volunteers arranged by Spectrum. Tutoring covers varied subject areas for upper primary and secondary school students (aged 11 – 18 years). An emphasis is placed on building strong relationships with the parents of participating young people and encouraging their attendance at and engagement in weekly sessions. The Project Officer also works with key community leaders and parents to investigate appropriate services and guest speakers that can deliver workshops to the parents around supporting their children’s education. The Mirabel Foundation (Mirabel) was established in Victoria in 1998 to assist children and young people who have been orphaned or abandoned due to parental illicit drug use and are now in the care of extended family (kinship care). Over the next 12 months, the Mirabel Teen Intervention Project will work with 20 young people aged 12-16 years who are living in kinship care in Melbourne. Mirabel will tailor a range of programs to each young person dependent upon their needs and interests. Owning Anger is a new 2-year skill building and education program by The Venny. It targets 30 boys aged 11 – 16 who have demonstrated aggressive and at times violent behaviour and are at risk of becoming perpetrators in their family and community. Through social support in a therapeutic setting with mentoring, cooking and sharing food and nature-based activities (such as gardening) the program develops young people’s socio emotional capacity and internal locus of control. Owning Anger aims to support young males to express their strong emotions in a healthy and non-destructive manner. Yalari provides Indigenous children from remote, rural and regional communities with scholarships to attend leading Australian boarding schools. Indigenous educator Waverley Stanley started the program in 2005 to educate and empower Indigenous children to lead generational change. The Newsboys Foundation grant sponsors a Victorian student at Geelong Grammar School. Chances is an education scholarship program for disadvantaged young people in the Boroondara area. The program contributes to education costs, enabling young people to fully participate in learning and complete their education. The Boroondara Cares Foundation works closely with schools and provides tailored ongoing support for the duration of studies. Newsboys Foundation support is directed to students aged 11 to 21 years who are experiencing financial disadvantage. The Newsboys Foundation been a proud supporter of this program since 2010. Breakaway Youth is an outdoor adventure program for young people who are financially and/or socially disadvantaged. The young people are from the cities of Darebin and Whittlesea, in Melbourne’s north. Breakaway Youth’s Summer Camp is part of a multi-year program for 25 young people aged 11-16. The five-day summer camp held in January supports young people to think about issues such as education, goal-setting and their future. Importantly, the camp prepares young people for the new school year. MASP is based in Mildura and has supported young people for more than three decades. The MASP Kokoda Youth Mentoring Program commenced in 2006. It is a 12-month mentoring program for 15 to 20 young people aged between 16 and 18 years. The program engages young people with education, training and employment through support and assistance provided by community mentors. The highlight of the program is for the mentees and the mentors to walk the Kokoda Track together. Testimonials from the participants at the end of the program demonstrate the profound and life changing impact this successful program has on the mentees and the mentors. Melbourne Youth Orchestras provides a comprehensive music education program that encourages personal development and excellence for young musicians. Undertaking a schedule of regular rehearsals and tutorials, more than 1,000 young people from across Victoria take part in specialised workshops and in public performances throughout the year that demonstrate their abilities and achievements. The cost of instruments and lessons can be barriers to a music education. With support from the Newsboys Foundation, a financial assistance program abolishes these barriers by enabling financially disadvantaged young people to participate in the program. Providing specialist musical tuition also helps young people to achieve their full musical potential. The Zone2 Community Access Program provides quality weekly tutorials in dance, music and text to young people. Zone2 engages young people from culturally diverse and low socio-economic backgrounds in Melbourne’s northern suburbs. Contemporary, cultural, street and classical art forms are included in the tutorials. Young people are supported to develop their creative skills and self-confidence. From the Zone2 tutorials, young people are connected to performing opportunities and are linked into further education, training and employment through the Linkage and Employment Generator. The Second Story is a multi-year partnership project between Robinvale P-12 School, Robinvale District Health Services, Murray Valley Aboriginal Co-operative, Mallee Sexual Assault Unit and Phunktional. The projects engages young people from Robinvale in a range of creative arts activities that lead to positive education, health and wellbeing outcomes. Phunktional continues to work with local emerging artists to deliver arts workshops to young people resulting in theatre performances and youth-created films. Polyglot Theatre is developing an exciting Education Resource for teachers delivering Film and Media Studies programs to middle years students (Grades 5 – 8). The impetus for this project springs from the success of the model of Polyglot’s current project, 5678 Film Club. Polyglot will make an accessible resource that replicates 5678’s structure and philosophy, to give more young people in this age group the practical tools for building resilience and making a successful school transition, by engaging creatively in educational frameworks. The resource will also facilitate stronger child leadership in classroom creative projects, support the development of screen and digital literacy through collaborative and educational activities, and promote film as a powerful, democratic and accessible communication medium in which anyone can participate with equipment as basic as a phone. 100 students in 4 schools will test the resource over 12 months before wider distribution across Melbourne and regional Victoria. 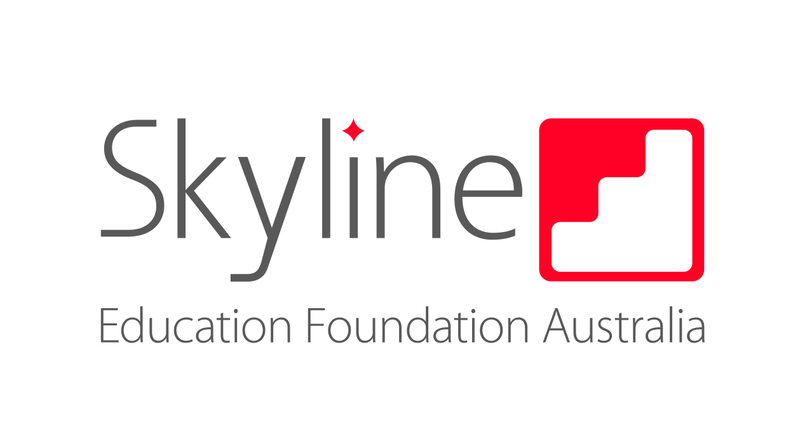 The VCE Bursary Program was developed by Skyline Education Foundation in 2004. It is an evidence based, ongoing student-centred program for gifted and academically talented young people aged between 16-18. The students are from low socio-economic and culturally diverse backgrounds who attend government schools and live in Victoria. The Newsboys Foundation commenced support for this program in 2009. The Program encourages bursary recipients to use education as the pathway to fulfil their potential by supporting them to remain at school, successfully undertake their VCE and then transition to tertiary education or a career of choice. This successful initiative increases the participation in sport and recreational activities of young people from financially disadvantaged backgrounds who live in Benalla and surrounds Research shows that regular participation by young people in sport and cultural activities in their community has a positive correlation with improved physical development and competence, enhanced health and wellbeing and higher social competence. Connection to peers and community also helps young people to stay engaged with school and learning. The Victorian College for the Deaf will work with students to develop and operate a bicycle maintenance shop. Students will train in the subject of bicycle technology, as well as run a maintenance service open to the public. This new program will promote students’ positive self-image and connection to the wider community, while equipping them with the necessary skills to make a successful transition from high school to employment or further study. This program builds upon the successful Tradeblock Café that was supported by the Newsboys Foundation in 2008. Western Chances supports young people in Melbourne’s western suburbs who have an identified talent and motivation to realise their potential but lack the finances, networks and opportunities to pursue their goals. This successful scholarship program has been supported by the Newsboys Foundation since 2009 and helps young people complete their education, broaden their skills, and build their networks. To date, Western Chances has assisted over 2,650 young people to complete their education and fulfil their goals. AYO seeks to ensure Australia’s best musicians aged 12 to 25 years of age are identified and nurtured through AYO’s training pathway regardless of geographical or financial disadvantage. AYO’s Victorian Bursary Fund enables AYO to subsidise the true cost of Victorian participant fees as well as provide financial assistance to those talented young musicians who would not otherwise be able to participate in AYO programs due to their financial situation or to living in regional/remote Victoria. Newsboys support will contribute to the AYO Victorian Bursary Fund for young people aged 12 to 21 years. The Newsboys Foundation is supporting Banksia Gardens Community Services to provide three study group sessions per week for young people living on the Banksia Gardens Estate in Broadmeadows. Volunteers, including tertiary students, are an integral part of the program. The volunteers provide one-on-one tutorial support for students in the study group sessions. A range of recreational activities are also provided to compliment the study program. The program helps young people engage in education and to finish secondary school. To celebrate the Newsboys Foundation 125th birthday, Kids Thrive will bring together up to 125 young community catalysts (aged 12-13) from Benalla, Geelong and Altona North to share their experiences as change-makers in their communities. The young people will also envision and present a Future Manifesto to community and political leaders – calling out the changes they want to see in our world. The Bridging the Gaps program was developed by Righteous Pups Australia to assist young people between the ages of 11-18yrs who reside in regional Victoria. The program is an innovative, highly intensive intervention therapy dog program for students deemed to be at risk. Young people are referred by the Social Worker at their current educational facility, to attend the Righteous Pups training centre, one day a week, for a minimum of 12 months. Through the program, young people work under the guidance of a counsellor and professional dog trainer. Young people grow in self-confidence whilst developing their team work skills and resilience. With the care and support of the Righteous Pups team, young people re-engage with their education and start to envision a positive future. Welcome Football is using the universal appeal of football to engage with newly arrived Syrian and Iraqi families and connect them with the broader Victorian community. This connection will support the settlement and integration process and will assist young people to make new friends, mix with their local community and develop life skills through the enjoyment of sport. Through regular in and out of school programs, school holiday programs, tournaments, a leadership program and support to join local football clubs, the Welcome Football program aims to provide extensive means for young people and their families to build connections within their local community. To celebrate the Newsboys Foundation 125th birthday, Kids Thrive will bring together up to 125 young community catalysts (aged 12-13) from Benalla, Geelong and Altona North to share their experiences as change-makers in their communities, and to envision and present a Future Manifesto to community and political leaders – calling out the changes they want to see in our world. Code Red is a collaborative project by St Martins Youth Arts Centre and Worawa Aboriginal College. Over the course of twelve months the collaborators are developing a multidisciplinary play featuring a group of girls aged 12-16 from Worawa College. The project aims to challenge the assumptions about contemporary Indigenous identity within the Western realm. It offers inspiration and insight about young Aboriginal women who are overcoming barriers to realise their potential in a competitive modern world. The project aims to develop the girls’ storytelling and performance skills and raise their levels of confidence and communication abilities. The work is being developed and rehearsed during a continuous workshop program led by three female artists including St Martins’ artistic director Nadja Kostich, Indigenous writer/dramaturg Kamarra Bell-Wykes and an Indigenous cultural co-facilitator. The project will culminate with a public performance in May 2019. Ignite Sound sessions provides weekly workshops designed for African young people aged 11-21 in Shepparton. Young people are able to explore and develop their talents, skills and confidence to tell their own stories with their own voices, through music. The program provides opportunities for 25 young people at each workshop to develop skills in mixing, producing and mastering recordings. The program also connects African young people to their local community in a positive way. The Newsboys Foundation has been a proud supporter of the scholarship program since 2011. Each year, Newsboys supports about 20 scholarships for young people Victorians aged 11 – 21. The Newsboys Foundation is proud to support STREAT’s Bowen Street café at RMIT in the Melbourne CBD with a special 125th Anniversary Grant. STREAT supports and trains young people in the skills necessary to thrive in the hospitality industry. The three-year Newsboys grant has enabled STREAT to establish and run the Bowen Street Café. Thornbury High School is very multicultural with around 40 different ethnic groups including students from the Middle East and Africa. The school also has the highest number of Koorie students at a Melbourne metropolitan secondary school. In 2017, the Newsboys Foundation supported Thornbury High School to provide all Year 7 students with free musical instruction and instrument hire/use. The Making a Musical Difference was a big success! Following on from the success in 2017, Thornbury High School will support students to continue their music education in 2018. All of the Year 7 students will participate in the music education program and more than 70 per cent of the Year 8 students are also keen to continue their music tuition. Support from the Newsboys Foundation will help Thornbury High School to buy an additional 19 new instruments. The instruments will be used by Year 8 students who are from financially disadvantaged backgrounds and are not able to purchase or hire their own musical instrument. VicSRC is the peak body representing school students in Victoria. Each year, VicSRC brings together secondary student delegates from all over Victoria at a congress meeting held at Ormond College, Melbourne University. In 2018, it is anticipated that 300 students will attend Congress and discuss key education issues that are important to their school communities. Leadership, communication and skills-building workshops will also be conducted with the students over the three-day meeting. In addition, VicSRC hopes to engage 200,000 young people online during Congress through their student directed communications strategy. In 2018, the VicSRC will also work with the Newsboys Foundation to bring together the Newsboys Foundation Youth Leadership Award alumni. 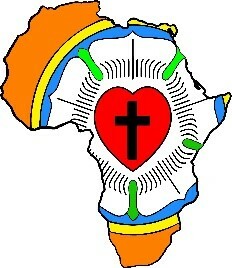 The alumni group will provide peer mentoring and will act as a youth reference group for the Newsboys Foundation. In 2015, Westjustice introduced The School Lawyer Project. The innovative two-year pilot was successful in addressing hidden problems within a public-school community. The School Lawyer Project had built the confidence of The Grange P-12 College community to effectively engage with the justice system. This has in turn improved the stability of school families and the attendance and performance of the school students. Based on the success of the pilot, the ‘Expanded School Lawyer Project’ is exploring a similar model to be delivered across a cluster of schools simultaneously, including alternative education settings and additional-needs schools. The project is also developing and trialling a ‘transient youth clinic’ that complements the existing School Lawyer model to re-engage and support students who have disengaged from and/or left the school. The project continues to partner with The Grange P-12 College and Warringa Park School as well as establishing new partnerships with Wyndham Community and Education Centre and Laverton P-12 College. Taking Flight Regional Schools Program continues to strengthen young people’s engagement with education and training, improve their life skills and their physical and mental health. The project also lifts their aspirations for a meaningful life. This successful program connects more than 1,200 young people from Ararat, Horsham, Wonthaggi and Frankston with a collaborative network of local, regional and Melbourne-based education, arts, cultural, sporting, recreation, Indigenous, and community organisations. The network provides young people with training, support, connections and broader life experiences, including trips to Melbourne and hikes to Maria Island in Tasmania. The Pathways Beyond School Expansion Project will ensure that Pathways Beyond School is delivered to eight of Ardoch’s existing secondary school partners in the place-based regions where Ardoch works. Individual components including Speed Careers, Mock Interviews, Meet the Professor, Industry Visits and Learning Through Lunch, will be combined to offer each school a comprehensive program that builds the confidence and aspirations of students as they consider future education and employment opportunities. Ardoch will target a diverse range of industry partners and professionals to participate in the project and share their insights. The I CAN Network is a mentor program by autistic professionals for autistic young people. 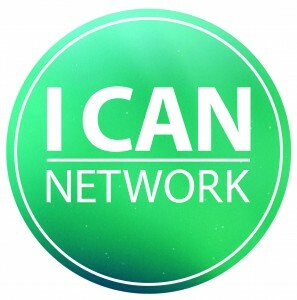 There are currently 600 young people in Victoria who are being mentored by the I CAN Network. 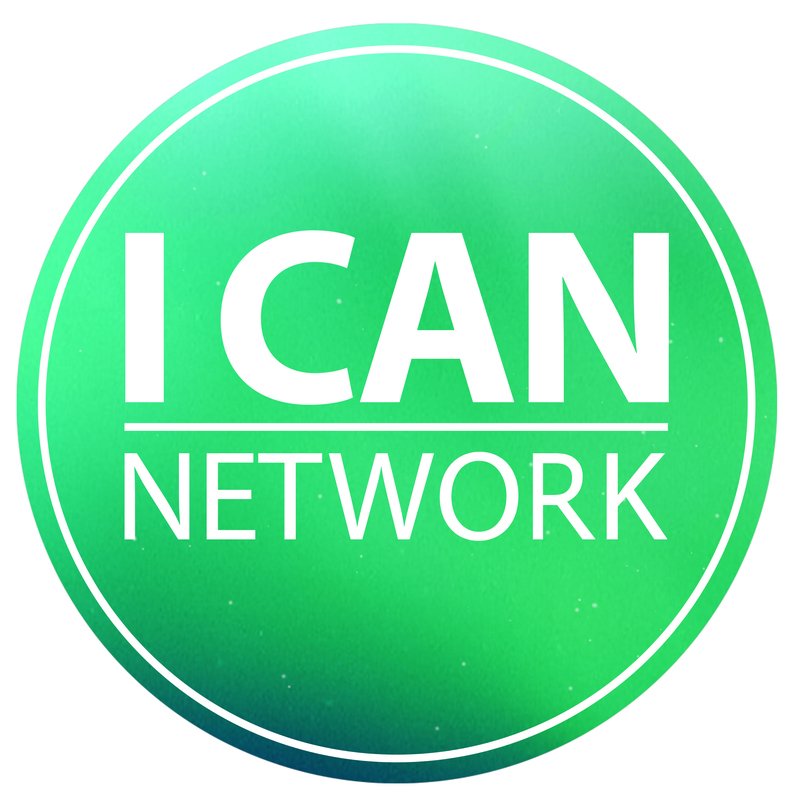 The I CAN Network will work with Social Venture Partners (SVP) to build the capacity and the long-term sustainability of the I CAN Network. This will enable the reach of the organization to grow and enable more services to be provided to more young people with autism. To mark the 125th anniversary of the Newsboys Foundation, Melbourne Youth Orchestras and Outer Urban Projects will unite to perform a concert at the Melbourne Recital Centre. This unique performance experience will fulfil aspirations and generate an innovative and exciting dialogue with more than 80 young musicians who excel at both contemporary and classical music, while also providing them the opportunity to broaden their horizons as young artists. OUP’s enthusiasm in contemporary hip-hop and MYO’s background in fine classical music will provide the opportunity to bridge an artistic and cultural gap for the young performers and the audience. This celebration project will recognise and celebrate diverse social and musical cultures, while highlighting the exuberance of youth and uniting young people in the pursuit and attainment of musical excellence. The Song Room conducts music programs in disadvantaged schools and communities to help students to re-engage with education. The Youth Engagement Program will target 15 marginalised young people from Bayside College in Williamstown in year 9 who are at risk of leaving secondary school. The Song Room will deliver an in-school creative arts program consisting of weekly workshops and a creative community project, providing experiences and skills that will help students remain at school. The program aims to increase the students’ confidence and re-engage them with learning. An additional eight year-11 students will participate in the project as mentors to the younger students. VicSRC is the peak body representing school students in Victoria. In October 2018, VicSRC will present its Recognition Awards to recognise the outstanding work of individual students, schools and teachers. The Newsboys Foundation Youth Leadership Award will be included as part of the Recognition Awards and will recognise the outstanding leadership achievements and the future leadership potential of a Year 12 Victorian student. 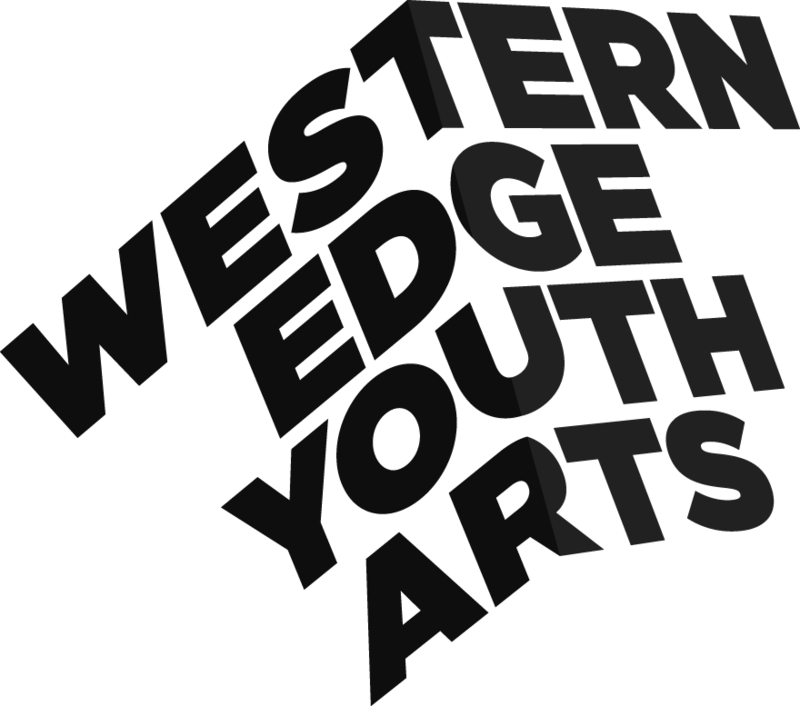 Western Edge Youth Arts will conduct a two-year youth drama program with projects based in Wyndham and St Albans. In both of these geographic areas, WEYA will deliver in-school residencies, after-school performance projects and community youth theatre projects for students at risk of disengaging with education. The project will actively include 190 young people each year with a focus on refugees and migrants from South Sudan and the Pacific Islands. Western Port Secondary College will lead an innovative Mobile STEM Lab initiative for six feeder primary schools located in Hastings Victoria. A five-week program will be based at each of the primary schools including access to high quality STEM resources and support. A NAO Robot and 20 Lenovo high specification laptops will be purchased for the Mobile STEM Lab Program. The program will focus on 325 students in years 5 and 6. The program will also include five weekly visits to the Western Port Secondary College which will help students prepare for their transition to secondary school. The Australian Ballet School’s vocational ballet training program is an intensive eight-level course aimed at training dancers to the highest international standard. Dancers are trained to be technically outstanding, artistic and to represent their art form at the highest level, locally and internationally. ABS students are from across Australia and around the world. The Newsboys Foundation contributes to the Australian Ballet School’s Bursary Program, which aims to ensure that no student is prevented by financial constraints from training at the school. The Newsboys Foundation support is specifically for Victorian students. The Berry Street Education Model (BSEM), delivered through intensive teacher training, mentoring and coaching, provides schools with a unique, targeted, effective intervention which can be applied by teachers, leading to students’ increased educational participation and achievement. The model aims to ensure that young people not only engage in education but significantly improve their learning and educational outcomes. It was found that applying the BSEM at the Berry Street School with severely traumatised and disengaged students resulted in an average academic growth of 1.8 years per annum. The BSEM also includes an alumni program for teachers who have completed the BSEM training to build sustainability of the model and provide further learning opportunities for teachers and students into the future. The alumni program, introduced in 2016 with Newsboys Foundation support has been a huge success. In 2018, Berry Street will expand and deepen their knowledge of the impact of the BSEM from the perspective of students. The research will be undertaken by the University of Melbourne Graduate School of Education, Youth Research Centre. Kids as Catalyst is a social change program that empowers young people aged 11-12 as major contributors to, and creators of, their community. Young people will identify local community issues and implement solutions to address such issues. In 2018, Kids Thrive will deliver the second year of the Kids as Catalyst program in Benalla. Kids Thrive will continue to work in partnership with Benalla P-12 College, The Tomorrow Today Foundation and local community organisations and businesses in Benalla. The innovative program is successful in fostering young people’s resilience, leadership and entrepreneurialism. It also encourages young people to develop real-life skills to identify and lead community projects. With Newsboys Foundation support, the successful Comedy Festival initiative, Class Clowns will be expanded into rural Victoria. The Comedy Festival will work with Anglicare Victoria and Hands On Learning to introduce the successful Class Clowns program into schools in the Wimmera Region. Comedy workshops will be delivered to young people in the Wimmera. Young people will also have an opportunity to attend the Comedy Festival in Melbourne in April 2018. Newsboys Foundation is supporting Melbourne Recital Centre to conduct the Newsboys Foundation Regional Music Award. 2018 will mark the fourth anniversary of the Award. The Award provides a week-long, immersive learning opportunity with a range of Melbourne classical music organisations for a regional Victorian music student. The Newsboys Foundation Regional Music Award is presented as part of the annual Bach Competition conducted by the Melbourne Recital Centre. The Newsboys Foundation will support a one-day workshop to be held in the Melbourne Recital Centre’s Salon in 2018. The workshop includes opportunities to listen and learn, as well as perform individually and as an ensemble. The workshop will feature three distinguished teachers in strings, woodwind and piano. Student participants will have the opportunity to learn in a masterclass situation (i.e. they play for the workshop leader and receive feedback) with their teachers observing. The day will end with all participants – teachers and students – coming together to perform as an ensemble. Rural and regional students will be encouraged to attend and will receive priority places in the workshop. Western Chances supports young people in Melbourne’s western suburbs who have an identified talent and motivation to realise their potential but lack the finances, networks and opportunities to pursue their goals. The Western Chances scholarship program, supported by the Newsboys Foundation, helps young people complete their education, broaden their skills, build their confidence and networks. Chances is an education scholarship program for disadvantaged young people in the Boroondara area. The program contributes to education costs, enabling young people to fully participate in learning and complete their education. The Boroondara Cares Foundation works closely with schools and provides tailored ongoing support for the duration of studies. Gateway Community Services will provide a healthy cooking program for 48 young people aged 15 to 21 living in the western suburbs of Melbourne. The aim of the program is to teach young people cooking and nutrition skills as well as providing a pathway to education, further training or suitable employment. At the end of each cooking session, a healthy lunch is shared by the participants, staff and volunteers. The Parrwang Aboriginal Youth Arts Program will offer a variety of one off and intensive workshops. These will be open to all Aboriginal students during the year. The Workshops will be an opportunity for young people in years 4 to 12 to try out, explore and discover dance, drama, singing & visual arts, as traditional and contemporary storytellers. The workshops would be facilitated by professional Indigenous artists. All workshops will give students an opportunity to learn traditional cultural skills with a contemporary edge, along with a focus on local stories. The Second Story is a partnership project between Robinvale P-12 School, Robinvale District Health Services, Murray Valley Aboriginal Co-operative, Mallee Sexual Assault Unit and Phunktional to engage young people from Robinvale in a range of creative arts activities that lead to positive education, health and wellbeing outcomes. Phunktional will work with local emerging artists and deliver arts workshops to young people resulting in theatre performances and two youth-created films. 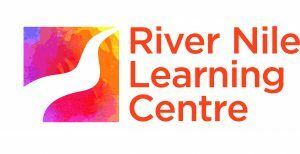 The River Nile Learning Centre (RNLC) provides education classes to young refugee and asylum seeker women to enable them to learn English and develop life and work skills to integrate and thrive in our community. Newsboys support will enable a part-time Social Welfare Worker to be employed to support approximately 80 young women aged between 16 and 21. Welfare support will help the young women and their children to sort through complex life issues so they can focus on their education and develop skills for a positive future. The Newsboys Foundation is supporting Banksia Gardens Community Services to provide three study group sessions per week for young people living on the Banksia Gardens Estate, Broadmeadows. Volunteers, including tertiary students, are an integral part of the program. The volunteers provide one-on-one tutorial support for students in the study group sessions. A range of recreational activities are also provided to compliment the study program. The program helps young people engage in education and to finish secondary school. 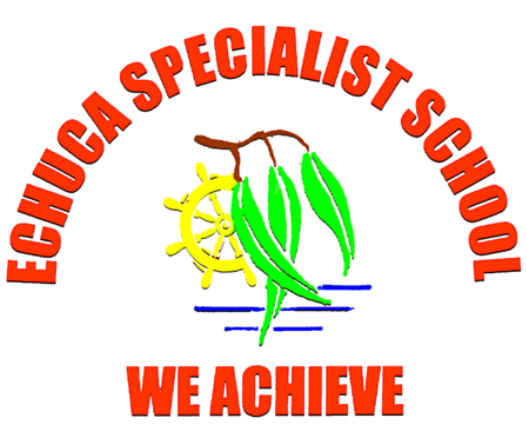 Senior students from the Echuca Specialist School will travel to Swan Hill for their bi-annual overnight school camp. While at Swan Hill, the students will visit the Pioneer Settlement and go on the PS PYAP Paddle Steamer on the Murray River. On the second day the students will participate in the annual Swan Hill Sports day. The sports day gives students with disabilities a chance to showcase their athletic talents and mix with peers from Swan Hill, Mildura, Bendigo, Shepparton and Maryborough. The sports day reduces geographic isolation and helps students feel part of a broader social group. Melbourne Youth Orchestras provides a comprehensive music education program that encourages personal development and excellence for young musicians. Undertaking a schedule of regular rehearsals and tutorials, more than 1000 young people from across Victoria take part in specialised workshops and in public performances throughout the year that demonstrate their abilities and achievements. The cost of instruments and lessons can be barriers to a music education. With support from the Newsboys Foundation, a financial assistance program will abolish these barriers by enabling financially disadvantaged young people to participate in the program. Providing specialist musical tuition also helps young people to achieve their full musical potential. Interchange Loddon Mallee in Bendigo will pilot a new program to support up to 40 young people who have a disability to go on social outings. The social outings will be based on the interests of the 11-to-21 year olds and will occur in small groups of three to five. The outings may include trips to the theatre, sporting activities, cooking classes, shopping, dancing or attendance at events. Through the outings, it is hoped that young people will develop more friendships, increase their confidence and connection to their community. Arena Theatre Company has been working with school students in East Gippsland since 2014. A digital technology and performance workshops program was developed to deliver inspiring, high-quality, immersive arts experiences to students in East Gippsland, who experience geographic and social barriers to access. Workshops take place on a school day, with Arena’s artists working with 25 students in each school to create a new performance. The workshop culminates in students performing their work for the school community. The 2017 program will be the largest to date with Arena visiting 13 partner schools across a four-week tour from 16 October to 10 November 2017. About 1300 students will be engaged in the project. Ten teenagers (aged 13 – 17) living with blindness or low vision will participate in the development of a Teenage Guide Dog Program. The program will increase young people’s social and physical inclusion, wellbeing and preparedness to become Guide Dog users. The Teenage Guide Dog Program will enable Guide Dogs Victoria to offer, for the first time, placement of Guide Dogs with clients under the age of 17. Helping Hoops Future is a free weekly basketball program held every Wednesday at Victoria University in Footscray for 30 young people aged 15 – 21. A basketball coach runs the program and is supported by a group of volunteers. Young people from diverse cultural backgrounds participate in the program. The initiative builds trust, promotes social inclusion, develops teamwork skills and encourages young people to complete their education. Children Ahead is an intensive support program for young people who have experienced violence. Programs can include, but are not limited to, individual, group or family counseling sessions, recreation activities and financial assistance. This innovative case management model works collaboratively with young people and relevant agencies to facilitate recovery from trauma and violence. The program also places an emphasis on connecting each young person to their community in order to build their resilience. Newsboys support will enable 30 young people aged 11 – 18 to be helped through the program. The Mirabel Foundation was established in Victoria in 1998 to assist children and young people who have been orphaned or abandoned due to parental illicit drug use and are now in the care of extended family (kinship care). Over the next 12 months, the Mirabel Teen Intervention Project will work with 20 young people aged 12 – 16 years who are living in kinship care in Melbourne. Mirabel will tailor a range of programs to each young person dependent upon their needs and interests. The range of services that are available to young people include: educational support, recreational camps, therapeutic teens groups and Intensive youth support. The Newhaven Boys Vocal Group (NBVG) is a choir of 10 young men aged between 15 and 18. NBVG is based in Inverloch and includes participants from the Bass Coast. 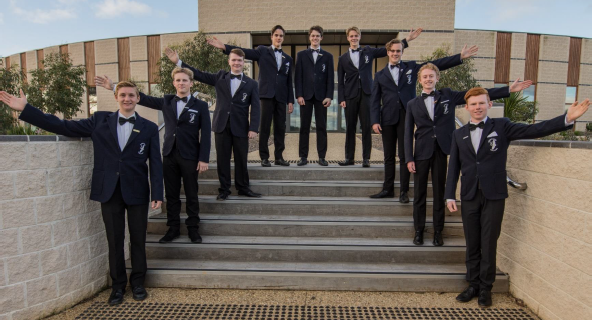 The choir has been selected as one of 12 male choirs from across Australia to be a guest at the Pemulwuy Male Choir Festival – Voices from the Trenches. The choir has also been invited to attend masterclasses at the Australian National Choral Associations Choralfest in Brisbane in June/July 2017. The Newsboys Foundation will support the choir to travel to Brisbane to participate in the festivals. The Welcome Football project will work with 500 newly arrived young people from Syria and Iraq, using the game of soccer to engage them with the broader Australian community. The project will focus on young people and their families who are living in the northern suburbs of Melbourne including Whittlesea, Darebin and Moreland. A welcome pack – including a soccer ball, bag and football top – will be given to each young person. Support will also be provided to introduce young people and their parents to soccer activities and engage them with their local clubs. The Scholarship Program provides financial support to at risk young people living in Kids Under Cover Houses and Studios who are engaged (or are looking to re-engage) with education and job training. 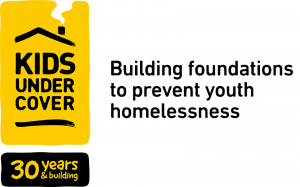 Kids Under Cover’s combination of accommodation with scholarship support targets at risk young people as part of an early intervention strategy to prevent homelessness and support young people to stay at school or undertake job training. MASP is based in Mildura and has supported young people for more than three decades. The MASP Kokoda Youth Mentoring Program is a 12 month mentoring program for 15 to 20 young people aged between 16 and 18. The program aims to engage young people with education, training and employment through support and assistance provided by the mentors. The highlight of the program is for mentees and mentors to walk the Kokoda Track together. STREAT was established in 2009 as a social enterprise to support young people who are homeless. Its first café site was opened in Federation Square in March 2010 with the majority of participants successfully moving on to full apprenticeships and employment after their STREAT training and support. • eight social enterprise initiatives have been established. STREAT has won the tender to run the Bowen Street Café at RMIT in the CBD. Given the rich history of the site and in particular, the role of newsboys in the area, the Bowen Street Café will have a newsboys theme. Historical stories will be told through the café – providing an ideal opportunity to bring the newsboys story alive in a public space that provides training and employment opportunities for homeless young people. Western Edge will conduct two discreet projects with support from Newsboys Foundation. Firstly, a drama program at Victoria University Secondary College that builds on the achievements of the Western Edge literacy and theatre project “New Voices Old Stories” that was conducted in 2016. And secondly, the continuation of Phoenix Edge Youth Theatre, a community project for culturally diverse teenagers based at Phoenix Youth Centre in Footscray. In 2015, Westjustice introduced The School Lawyer Project. The innovative two-year pilot was successful in addressing hidden problems within a public school community. The School Lawyer Project had built the confidence of The Grange P-12 College community to effectively engage with the justice system. This has in turn improved the stability of school families and the attendance and performance of the school students. Based on the success of the pilot, the ‘Expanded School Lawyer Project’ aims to explore a similar model to be delivered across a cluster of schools simultaneously, including alternative education settings and additional needs schools. The project will also develop and trial a ‘transient youth clinic’ that will complement the existing School Lawyer model in order to re-engage and support students who have disengaged from and/or left the school. The project will continue to partner with The Grange P-12 College and Warringa Park School as well as establish new partnerships with Wyndham Community and Education Centre and Laverton P-12 College. Airlift Ensemble is a circus arts project developed by the Women’s Circus and Phoenix Youth Arts. The free weekly program conducted in Footscray is for young people aged 12 to 16, who live in the western suburbs of Melbourne. This creative initiative will work with young people from culturally diverse and low socio-economic backgrounds. The project will address some of the complex issues they face and work towards positively connecting them to the broader Australian community. The program encourages children to live life to the full. The Community Living & Respite Services’ after school care includes holiday programs for young people with disabilities. The programs in Echuca, Lockington, Rochester, Cohuna and Kyabram areas, engage young people in a range of fun and educational activities including a cooking program. Open House will establish a Youth Outreach Centre in West Heidelberg to reach out to disadvantaged youth in their own community. Support and positive recreational programs will be provided for young people to help them address a range of complex issues in their lives. The Richmond Emerging Aboriginal Leadership (REAL) Program is for Aboriginal and Torres Strait Islander people aged 14-21 years. The program is conducted out of the Korin Gamadji Institute (KGI) at the Richmond Football Club. REAL engages Indigenous youth at Year 9 level and works with the participants over a number of years to develop their leadership skills and reach their full potential. There are three distinct phases of the REAL program including camps, leadership training and career development. To provide a weekly homework group for 50 to 60 school students aged 11-18. The students are from refugee and migrant backgrounds. The program is based in Reservoir and is supported by qualified staff and a range of community volunteers – including students and tutors from La Trobe University. In 2017, it is anticipated that 300 students will attend Congress and discuss key education issues that are important to their school communities. Leadership, communication and skills-building workshops will also be conducted with the students over the three-day meeting. In October 2017, VicSRC will present their Recognition Awards to recognise outstanding work of individual students, schools and teachers. The Newsboys Foundation Youth Leadership Award will be included as part of the Recognition Awards and will recognise the outstanding leadership achievements and the future leadership potential of a Year 12 Victorian student. Newsboys support helps students with disabilities to attend a VCAL camp at Lady Northcote YMCA in February/March 2017. The camp will be an integral part of bringing together 25 VCAL students at the start of the school year in preparation for their final year of secondary school. Newsboys provides an overall subsidy for the camp that helps ensure that students from financially disadvantaged backgrounds have the opportunity to attend the camp. The University Pathways Program is designed to enable secondary students from disadvantaged schools prepare for a tertiary education and a professional career. Many of the young people entering the program will be the first in their families to finish high school and plan to go to university. The four-year initiative sees students from across Victoria come together once a year for a residential camp at the Doxa City Camp in Elizabeth Street, Melbourne. Activities include visits to universities, engaging with guest speakers and workshops. Starting in year 9, the program continues through years 10, 11 and 12. Ongoing mentoring and support is provided. Kids as Catalyst is a social change program that empowers young people aged 11-12 as major contributors to, and creators of, their community. Young people will identify local community issues and implement solutions to address such issues. Kids Thrive will deliver Kids as Catalyst in Benalla. Kids Thrive will work in partnership with Benalla P-12 College, The Tomorrow Today Foundation and local community organisations and businesses in Benalla over the next two years. The innovative program will foster young people’s resilience, leadership and entrepreneurialism, encouraging the development of real-life skills to identify and lead community projects. Newsboys Foundation is supporting Melbourne Recital Centre to conduct the Newsboys Foundation Regional Music Award. 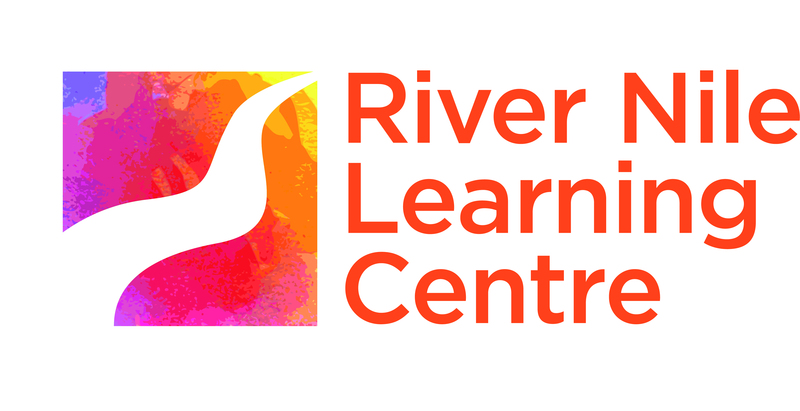 The Award provides a week-long, immersive learning opportunity with a range of Melbourne classical music organisations for a regional Victorian music student. The Newsboys Foundation Regional Music Award is presented as part of the annual Bach Competition conducted by the Melbourne Recital Centre. The Newsboys Foundation will support a one-day workshop to be held in the Melbourne Recital Centre’s Salon in 2017. The workshop includes opportunities to listen and learn, as well as perform individually and as an ensemble. The workshop will feature three distinguished teachers in strings, woodwind and piano. Student participants will have the opportunity to learn in a masterclass situation (i.e. they play for the workshop leader and receive feedback) with their teachers observing. The day will end with all participants – teachers and students – coming together to perform as an ensemble. Rural and regional students will be encouraged to attend and will receive priority places in the workshop. Polyglot will continue their work in Frankston North with students from Mahogany Rise Primary School and Monterey Secondary College. The project will build upon an existing five-year relationship with the schools and young people. Students from years 5, 6, 7 and 8 will be involved in the project and will be supported to have a voice and make their own film and performance to be presented to their local community. Important themes relating to nature and gender will be explored over the two years. Through the process, young people will build their confidence and resilience – helping them to make the transition to secondary school. Sharing Stories will work with senior students at Swan Hill North Primary School and members of the Wamba Wamba Indigenous community in and around Swan Hill to conduct a digital storytelling project. Elder Uncle Ron Murray will teach the students the Creation Story of Lake Brolga. The students will go ‘on country’ for a cultural excursion to the site with cultural custodians, teachers and Sharing Stories artist facilitators. A digital story will then be created using ‘Book Creator’. This is a creative tool that enables the students to share their experience with other children in the school by creating a digital story. The digital story can then be used to support other parts of the curriculum. Follow up and on-going support is provided to the school and community for a minimum of 12 months. Newsboys Foundation is helping provide ANAMates memberships and subscription concert tickets to Anglicare Victoria, Melbourne Youth Orchestras, West Melbourne Schools Orchestra and Western Chances. This is to enable young people from each organisation to attend a range of music concerts, master classes, rehearsals, seminars and other events throughout 2017. Special events will be organised to enable the young people to meet and talk with musicians throughout the year in order to inspire the young people, build their confidence and encourage them to envisage and create their own future. Western Victoria HAS Winners (HAS = Horsham, Ararat, Stawell) aims to strengthen young people’s engagement with education and training, improve their life skills and their physical and mental health. The project also aims to lift their aspirations for a meaningful life. After a successful three-year pilot in Ararat, the project expanded to include Horsham over the past 12 months. There are plans to include Stawell over the next 12 months. Local schools, government departments, local agencies and the community are brought together to provide young people with training, support and broader life experiences. Breakaway Camps is an outdoor adventure program for young people who are financially and/or socially disadvantaged. The young people are from the cities of Darebin and Whittlesea, in Melbourne’s north. Breakaway Camps’ Summer Breakaway is part of a multi-year program for 25 young people aged 11-16. The five-day summer camp held in January supports young people to think about issues such as education, goal-setting and their future. Importantly, the camp prepares young people for the new school year. Courthouse Youth Arts will work with Somebody’s Daughter Theatre Company and Newcomb Secondary College to reach out to 25 young people aged 11-18 years in Geelong who are at risk of leaving school. Supported by Newsboys, the students will be enrolled at Newcomb Secondary College and will attend numeracy, literacy and performing arts classes at Courthouse Youth Arts in Geelong. Courthouse Youth Arts will manage the project and provide the venue, Newcomb Secondary College will provide two teachers and Somebody’s Daughter Theatre Company will oversee the project and direct the creative work with young people. The students will be involved in performing Anchoring the Wind … Because I Matter with young people from Wodonga who are involved with Highwater Theatre Company. The cost of instruments and lessons can be barriers to a music education. With support from the Newsboys Foundation, a financial assistance program will abolish these barriers by enabling financially disadvantaged young people to participate in the program. Providing specialist musical tuition also helps young people to achieve their full musical potential. 100 free tickets to MYO concerts will be provided to secondary school students from disadvantaged backgrounds. The South Gippsland Specialist School at Leongatha will adapt the school gymnasium to incorporate a performing arts space. A back drop curtain and theatre lights will be installed along with additional seating. The arts space will enable a high-quality performing arts program to be delivered to 30 students aged 11 to 18. Students will have the opportunity to showcase their talents in a safe and supportive environment. The performing arts program will promote literacy and language development. It will also stimulate creativity, critical thinking and problem solving skills. 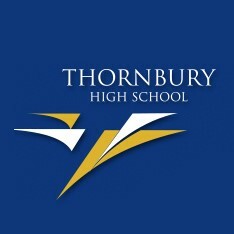 Thornbury High School is very multicultural, with around 40 ethnic groups including students from the Middle East and Africa. The school has the highest number of Koorie students at a Melbourne metropolitan secondary school. Thornbury High School will expand its musical education program to ensure that all year seven students (about 190) can participate. Additional instruments will be bought so that students from financially disadvantaged backgrounds have access to an instrument and can pursue their interest in learning to play music. It is hoped that seven concert bands of year seven students will be formed in 2017. The Newsboys Foundation contributes to the Australian Ballet School’s Bursary Program, which aims to ensure that no student is prevented by financial constraints from training at the school. The Newsboys Foundation is supporting Banksia Gardens Community Services to provide three study group sessions per week for young people living on the Banksia Gardens Estate, Broadmeadows. Volunteers, including tertiary students, are an integral part of the program. The volunteers provide one-on-one tutorial support for students in the study group sessions. The program helps young people engage in education and to finish secondary school. The Newsboys Foundation is supporting the Cloverdale Care breakfast program for 130 secondary school students at Northern Bay College, Goldsworthy Campus in Corio. Having a healthy breakfast is a proven way of helping boost students’ concentration, which in turn helps their success at school and leads to positive results later in life. The Newsboys Foundation is supporting 15 students from St Albans to participate in the two-year REEF program organised by Cottage by the Sea. REEF camps promote “Respect, Education, Environment and Friendship” and are designed to help participants develop self-esteem, leadership skills and confidence, particularly during the transitional years from primary to secondary school. Young people participate in nine camps over two years. The camps have become an important, positive part of many young people’s formative years. Gateway Community Services will provide a healthy cooking program for 48 young people aged 15 to 18 living in the western suburbs of Melbourne. The aim of the program is to teach young people cooking and nutrition skills as well as providing a pathway to education, further training or suitable employment. At the end of each cooking session, a healthy lunch is shared by the participants, staff and volunteers. The I CAN Network will conduct a weekend camp for 40 young people aged between 12 and 17 years who are on the autism spectrum. The camp will be held at the Doxa Youth Camp in Malmsbury. It will provide a safe and enabling environment for young people on the autism spectrum so they can experience belonging, share their talents and interests, and develop teamwork skills. Important friendships and social networks will be created. Young people will also have the opportunity to learn important life skills and develop self-confidence. The Zone2 Community Access Program provides quality weekly tutorials in dance, music and text to young people. Zone2 engages young people from culturally diverse and low socio-economic backgrounds in Melbourne’s northern suburbs. Contemporary, cultural, street and classical art forms are included in the tutorials. Young people are supported to develop their creative skills and self-confidence. From the Zone2 tutorials, young people are connected to performing opportunities and are linked into further education, training and employment. South East Community Links will provide a homework club and a social connection program including sport, recreation and social activities for 80 secondary students in the City of Greater Dandenong and the City of Casey. The programs will focus on young people who are newly arrived to Australia and will provide important educational and social support to ensure young people do not feel isolated. The Tomorrow Today Education Foundation is long-term comprehensive initiative that aims to break the cycle of disadvantage in the Benalla region. The Wanna Play But Can’t Pay program takes a whole-of-community approach to support children and young people to experience success in education and life. The program will provide financial and social support to increase the participation of up to 200 young people aged 11 to 18 in sporting, recreational and cultural activities. The program will increase the health and well-being of young people and their connection to the local community. This successful initiative builds on previous work supported by the Newsboys Foundation. VicSRC is the peak body representing school students in Victoria. In October 2016, VicSRC will present its Recognition Awards to recognise the outstanding work of individual students, schools and teachers. The Newsboys Foundation Youth Leadership Award will be included as part of the Recognition Awards and will recognise the outstanding leadership achievements and the future leadership potential of a Year 12 Victorian student. Gender-based violence is a significant issue. Building on the work that Windermere did in 2015 with the entire Year 8 cohort at Cranbourne Secondary College, Windermere will implement the second year of the program of Building Respectful Relationships workshops with the entire Year 9 cohort at Cranbourne Secondary College. Cranbourne Secondary College was established in the 1960s in what was then a rural township. The College now serves a rapidly growing community in an urban growth corridor. The complexity of social issues presenting in the City of Casey and Shire of Cardinia is well documented. There is a pressing need to connect with young people and positively engage them to their school and broader community. Developing respectful relationships is an important part of achieving this goal. Berry Street is commencing an alumni program for teachers who have completed the BSEM training to build sustainability of the model and provide further learning opportunities for teachers and students into the future. The School Lawyer Project uses a new and innovative gateway to address hidden problems within a public school community and aims to build the confidence of that community to effectively engage with the justice system in order to improve the attendance and performance of the school students. In 2015, the Newsboys Foundation supported the School Lawyer Project, based at The Grange P-12 College in Hoppers Crossing. The School Lawyer created an inclusive relationship with students, parents/guardians and teachers that go beyond the traditional solicitor/client relationship. The second year will allow the School Lawyer to continue his important work at The Grange P-12 College and expand to Warringa Park School. Warringa Park School is a specialist school located next door to The Grange and caters for students aged 15 to 18 years who have a diagnosed intellectual disability. New Voices Old Stories is an arts education initiative for young people attending Victoria University Secondary College in St Albans. The first pilot year of a four year program will deliver a two-strand theatre and literacy project for students in Years 9 to 11. Strand one will be delivered during school time as part of the curriculum to support the teaching of Shakespeare’s Othello to 150 Year 10 students. Teachers will also participate in a professional development workshop delivered by Dr Dave Kelman to develop their skills in the use of drama to deliver Shakespeare texts in English classes. Strand two is a longer and more involved after-school and school holiday program aimed at thirty young people from years 9 to 11. This program will enable young people to create their own free contemporary adaptation of a Shakespeare text. Young people will work with a team of skilled teaching artists to devise, create and write a new performance based on Shakespeare’s Hamlet, making the story relevant to their experience and cultural background. Ardoch Youth Foundation provides a range of activities to help over 200 students at Monterey Secondary College in Frankston North to stay engaged at school and broaden their horizons. The range of initiatives include: pathways beyond school sessions, lego robotics, breakfast club, youth participation and supporting and mentoring local primary students. Since 2011, the Newsboys Foundation has helped Gateway Health to fund a Young Person’s Support Officer to work with Highwater Theatre (HWT). The program supports young people between 12 and 17 years who have been neglected, traumatised and abused. Many of the young people have also experienced homelessness and foster care. The HWT intensive performing arts program supports young people to re-build their lives, tell their story and educate others. The Newsboys Foundation will partner with HOL and Social Venture Partners from 2016 to 2018 to explore suitable and profitable social enterprise opportunities for HOL. The aim is to build the long-term sustainability of Hands On Learning. TANDERRUM is a celebration and spiritual gathering of the five communities that make up the Kulin nation, the traditional owners of much of south-eastern Victoria, including Melbourne. TANDERRUM formed the official opening of the 2013, 2014 and 2015 Melbourne Festival. It will also form the official opening of the 2016 Melbourne Festival. Combining dance, music, performance, traditional language and storytelling with cultural traditions that stretch back more than 40,000 years, TANDERRUM celebrates the culture of the land’s traditional owners and welcomes people to country. Led by elders and Indigenous dancers, the dance workshops train members of each Kulin nation in their traditional dance in the lead up to the TANDERRUM. The workshops also teach young people traditional language and song. The workshops help connect young people with their elders, community and cultural heritage. In 2016, about 75 Indigenous Victorians between the ages of 11 and 18 will participate in the dance workshops and in the TANDERRUM ceremony. MASP is based in Mildura and has supported young people for over three decades. The MASP Kokoda Youth Mentoring Program is a 12 month mentoring program for 15 to 20 young people aged between 16-18 years of age. The program aims to engage young people with education, training and employment through support and assistance provided by the mentors. The highlight of the program is for mentees and mentors to walk the Kokoda Track together. 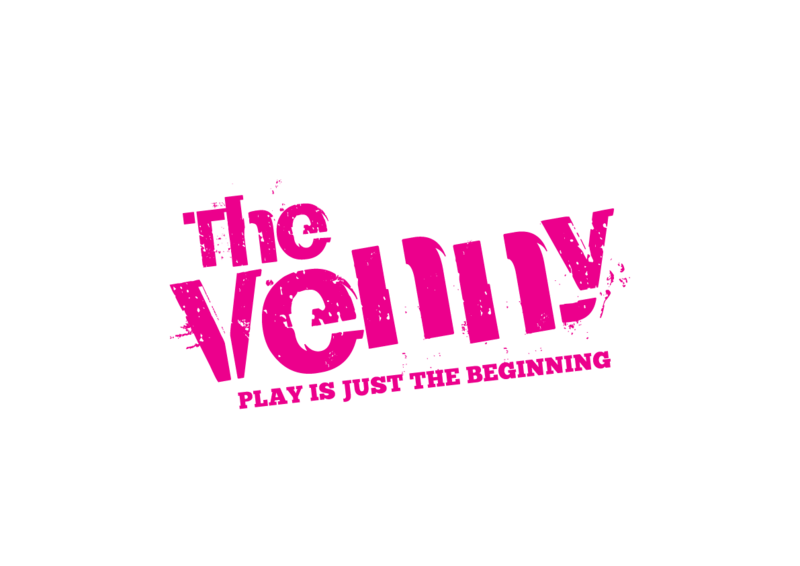 The Young Women’s Project, based in Dandenong, aims to reduce the risk of young women experiencing commercial sexual exploitation. A centre has been established to provide a safe place for young women to attend and receive intensive support including group work, therapeutic work, outreach support, and volunteer mentor support. In addition, the specialist Gatehouse team works with other service providers to educate them about how to best work with young women who are at risk of, or involved in, commercial sexual exploitation. The Newsboys Foundation grant will support the Group Work Program. In 2016, it is anticipated that 250 students will attend Congress and discuss key education issues that are important to their school communities. Leadership, communication and skills-building workshops will also be conducted with the students over the three-day meeting. Chances is an education scholarship program for disadvantaged young people in the Boroondara area. The program contributes to education costs, enabling young people to fully participate in learning and complete their education. The foundation works closely with schools and provides tailored ongoing support for the duration of studies. The aim of the Community Living & Respite Services’ before and after school care holiday programs for young people with disabilities is to encourage children to live life to the full. The programs, supported by the Newsboys Foundation, operate in Echuca, Lockington, Rochester, Cohuna and Kyabram. They engage young people in a range of fun and educational activities, including a cooking program. Disability Sport and Recreation will conduct a three-day leadership camp for 12 young people with disabilities. The camp aims to encourage the participation of 15 to 18 year-olds in sport and recreation. As well as increasing physical activity, the young people will be supported to encourage other young people with disabilities to participate in sport and recreation. A 12 month mentoring program for the participants will provide ongoing support. Feedback from young people attending the camp will inform the future Disability Sport and Recreation Youth Engagement Strategy. Diversitat operates homework clubs within Northern Bay College and North Geelong Secondary College. Demand for participation in the clubs is high. Diversitat will expand the existing homework club program for culturally and linguistically diverse (CALD) secondary school students in Geelong. With Newsboys Foundation support, two new homework clubs will be established in local libraries. Helping Hoops uses basketball to bring young people from a multitude of cultures together in a free weekly basketball and life-skills training program. The program, aimed at young people from a refugee and multicultural background living in the western suburbs of Melbourne, builds trust, promotes social inclusion, develops teamwork skills and encourages young people to complete their education. Jesuit Social Services works to build a just society by advocating for social change and promoting the health and wellbeing of disadvantaged people. JSS runs the Fitzroy Lions Soccer Program, an after-school sports program for people aged 11-to-18 who live at the Fitzroy Public Housing Estate. The young people are from nations such as Somalia, Sudan, China, Vietnam, Iran, Iraq, Afghanistan and Australia. They play sports to improve their skills, stamina, physical health, confidence, self-esteem and boost their respect for each other. Kids as Catalyst is an innovative social change program, empowering young people aged 11-12 as major contributors to, and creators of, their community. Kids Thrive will deliver Kids as Catalyst into the Wyndham region of Melbourne’s outer west, partnering with the Smith Family, three local schools, local community organisations and businesses. Young people will identify local community issues and implement solutions to address such issues. Through the process, their resilience, leadership skills and entrepreneurialism will be encouraged. Newsboys Foundation is supporting Melbourne Recital Centre to conduct the Newsboys Foundation Regional Music Award. The Award provides a week-long, immersive learning opportunity with a range of Melbourne classical music organisations for a regional Victorian music student. The Newsboys Foundation Regional Music Award is awarded as part of the annual Bach Competition conducted by the Melbourne Recital Centre. The Newsboys Foundation will support a one-day workshop to be held in the Melbourne Recital Centre’s Salon in March 2016. The workshop includes opportunities to listen and learn, as well as perform individually and as an ensemble. The workshop will feature three distinguished teachers in strings, woodwind and piano. Student participants will have the opportunity to learn in a masterclass situation (i.e. they play for the workshop leader and receive feedback) with their teachers observing. The day will end with all participants – teachers and students – coming together to perform as an ensemble. Rural and regional students will be encouraged to attend and will receive priority places in the workshop. Keeping Kids Connected will provide young people living in the Robinvale community with a safe, structured and accessible program where they can participate in positive activities during the summer school holidays. Each day will include a healthy lunch and a planned activity. The activities encourage teamwork and positive social relationships. Young people will learn skills through the activities and they will develop their ability to work with others, and develop positive social relationships. The Song Room conducts music programs in disadvantaged schools and communities to help students to re-engage with education. The Youth Engagement Program will target 20 marginalised young people from Bayside College, Williamstown, in years 7 to 9 who are at risk of leaving secondary school. 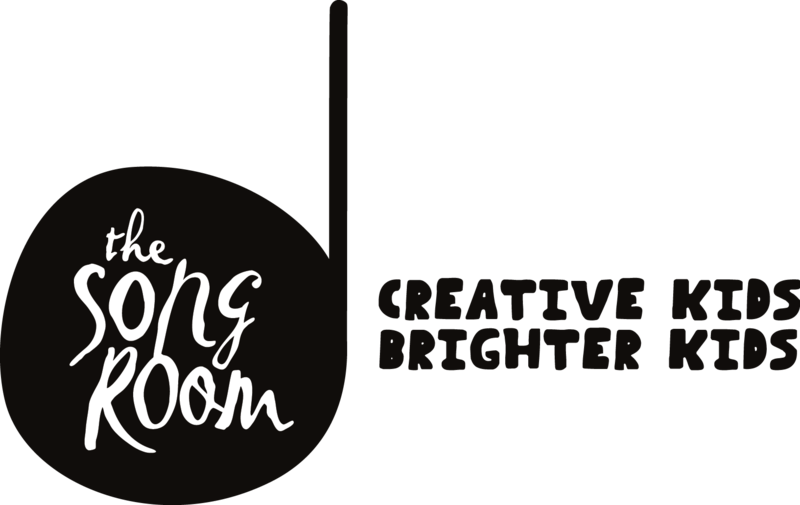 The Song Room will deliver an in-school creative arts program consisting of weekly workshops and a creative community project, providing experiences and skills that will help students remain at school. The program aims to increase the students’ confidence and re-engage them with learning. The University Pathways Program is designed to enable secondary students from disadvantaged schools across Victoria to prepare for a tertiary education and a professional career. Many of the young people entering the program will be the first in their families to finish high school and plan to go to university. The four-year initiative will see students come together once a year to attend a residential camp at the Doxa City Camp in Elizabeth Street, Melbourne. Activities will include visits to universities, listening to guest speakers and workshops. Starting in year 9, the program continues through years 10, 11 and 12. Ongoing mentoring and support will be provided. 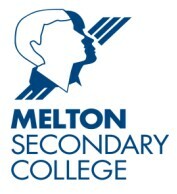 The Newsboys Foundation will support the implementation of the Berry Street Education Model at the Melton Secondary College’s CALM program. The CALM program works with students who have disengaged from mainstream education. The introduction of the Berry Street Education Model will introduce teachers and students to evidence-based strategies that increase school engagement and academic growth. The Newsboys Foundation is supporting The Mirabel Foundation in its mission to break the cycle of disadvantage, build self-esteem, encourage resilience and create a positive future. The Mirabel Teen Intervention Project will work with 20 young people aged 12-16 years who are living in kinship care in Melbourne. Mirabel will tailor a range of programs to each young person dependent upon their needs and interests. Polyglot will continue its work in Frankston North with students from Mahogany Rise Primary School and Monterey Secondary College. The Outer Bounds Project in 2016 and the Hear Me Roar project in 2017 will build upon an existing four-year relationship with the schools. Students from years 5, 6, 7 and 8 will be involved in the project and will be supported to have a voice and make their own film and performance to be presented to their community. Important themes relating to nature and gender will be explored over the two years. Through the process, young people will build their confidence and resilience – helping them to make the transition to secondary school. Melbourne Youth Music provides a comprehensive music education program that encourages personal development and excellence for young musicians. More than 1,000 young people from across Victoria take part in regular rehearsals and tutorials, specialised workshops, and, throughout the year, public performances that demonstrate the young musicians’ abilities and achievements. The cost of instruments and lessons can be barriers to a music education. With support from the Newsboys Foundation, a financial assistance program is helping overcome these barriers by enabling financially disadvantaged young people to participate in the program. Providing specialist musical tuition also helps young people to achieve their full musical potential. Vermont South Special School provides a range of activity camps as an alternative and complimentary learning environment for students with disabilities. The focus is on preparing children for life. Activities are designed to improve students’ social, communication, teamwork and independent-living skills. Newsboys’ support ensures that all young people are able to take part in the camps, regardless of their family’s socio-economic status. The Australian Ballet School’s vocational ballet training program is an intensive eight-level course aimed at training dancers to the highest international standard. Dancers are trained to be technically outstanding, educated, artistic, and to represent their art form at the highest level, locally and internationally. ABS students come from across Australia and around the world. The Newsboys Foundation contributes to the Australian Ballet School’s bursary program. The aim of the bursary program is to ensure that no student is prevented by financial constraints from training at the school. The Newsboys Foundation is supporting Banksia Gardens Community Services to provide three study group sessions per week for young people living on the Banksia Gardens Estate, Broadmeadows. Volunteers, including tertiary students, are an integral part of the program. They provide one-on-one tutorial support for students attending the study group sessions. The program helps young people engage in education and to finish secondary school. The Newsboys Foundation has supported 65 secondary students from Echuca Specialist School to travel to Swan Hill and participate in the annual Swan Hill Sports day. The sports day gives students with disabilities a chance to showcase their athletic talents and mix with peers from Swan Hill, Mildura, Bendigo, Shepparton and Maryborough. The sports day reduces geographic isolation and helps students feel part of a broader social group. 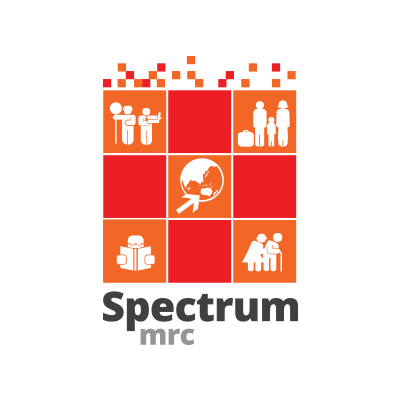 The Spectrum Migrant Resource Centre provides a weekly homework group for students. The program is based in Preston and is supported by qualified staff and a range of community volunteers – including students and tutors from La Trobe University. WEAC provides a drug and alcohol rehabilitation program for young people at Tandana Place. The program includes 24-hour residential care, counselling, art therapy, music therapy, cooking classes, outdoor and recreation activities, therapeutic massage/reiki and gym membership. New Connections Through Drama is an arts education initiative that addresses educational disadvantage and under-achievement in young people from three economically disadvantaged state schools in Geelong. The schools are North Geelong Secondary College, Tate Street Primary School and Geelong High School. The arts based initiatives will be implemented at important stages of the students’ school careers and will encourage students to develop connectedness to their school and engagement in learning. The Berry Street Education Model aims to ensure that young people engage in education and significantly improve their learning and educational outcomes. The Newsboys Foundation grant will support the further development of the Berry Street Education Model including piloting the model in two mainstream schools. TANDERRUM was part of the official opening of the 2013 and 2014 Melbourne Festival. It will also be part of the official opening on the 2015 Melbourne Festival. Combining dance, music, performance and storytelling with cultural traditions that stretch back more than 40,000 years. TANDERRUM celebrates the culture of the land’s traditional owners and welcomes people to country. In 2015, supported by Newsboys Foundation, around 70 Indigenous young Victorians between the ages of 11 and 18 will participate in the dance workshops and in the TANDERRUM ceremony that will open the Melbourne Festival in October. We are the Future provides financial help to Melbourne High School students from financially disadvantaged backgrounds. The support from the Newsboys Foundation helps cover the cost of school uniforms and books. The VCE Bursary Program aims to help young people from financially disadvantaged backgrounds to successfully transfer to tertiary education or employment on completion of their VCE. A bursary along with educational, emotional and practical support will be provided for academically talented young people for the duration of their VCE. The bursary, supported by the Newsboys Foundation, aims to help young people reach their full potential. In the City of Casey and Shire of Cardinia, there is a pressing need to connect with young people and positively engage them with their school and with the broader community. Gender-based violence is a significant issue. Windermere Child and Family Services will implement a program of “Building Respectful Relationships” workshops with the entire Year 8 cohort at Cranbourne Secondary College. Developing respectful relationships is an inherent part of the workshops. Western Victoria HAS Winners (formally Making Ararat A Plus; HAS = Horsham, Ararat, Stawell) aims to strengthen young people’s engagement with education and training, improve their life skills and their physical and mental health. The project also aims to lift their aspirations for a meaningful life. After a successful three-year pilot in Ararat, the project will expand to include Horsham and Stawell. Local schools, government departments, local agencies and the community will be brought together to provide young people with training, support and broader life experiences. The Brother Boyz project will engage Year 11 Koorie boys as mentors to Year 7/8 Koorie boys at Mooroopna Secondary College (MSC) in a series of cultural workshops led by local Koorie artists. Learning from respected Koorie leaders and sharing in storytelling will foster stronger positive identities. The Scholarship Program provides financial support to at-risk young people living in Kids Under Cover houses and studios who are engaged (or are looking to re-engage) with education and job training. 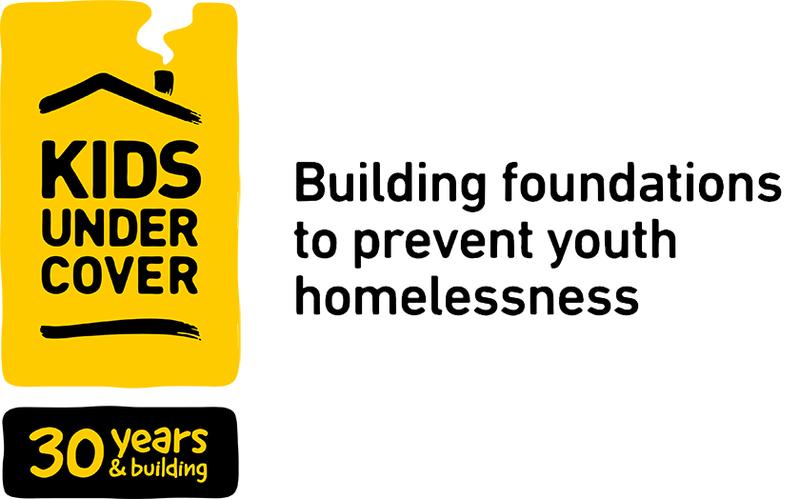 Kids Under Cover’s combination of accommodation and scholarship support targets at-risk young people as part of an early intervention strategy to prevent homelessness. Newsboys Foundation is supporting Melbourne Recital Centre to create the Newsboys Foundation Regional Music Award. The Newsboys Foundation Regional Music Award will be part of the annual Bach Competition conducted by the Melbourne Recital Centre. VicSRC is the peak body representing school students in Victoria. Each year, VicSRC brings together more than 150 secondary student delegates from all over Victoria at a congress meeting. The students discuss key education issues that are important to their school communities and undertake high-quality leadership and skills-building workshops. In July 2015, the VicSRC will celebrate the 10th Anniversary of Congress at Ormond College, University of Melbourne. With Newsboys Foundation support, VicSRC aims to expand the two-day congress meeting to three days to allow additional leadership and skills training to take place. The extra day will also allow more time for the delegates to develop action plans to take back to their schools to follow through on decisions made at Congress. A “School Lawyer” with a community development background and experience in the youth sector will be employed to work closely with the school community at The Grange P-12 College in Hoppers Crossing. The school lawyer will be based at the school, which has a student population of 1,723. The lawyer will provide weekly legal education sessions and workshops to help students with early intervention strategies and to help with any dealings with the criminal justice system. 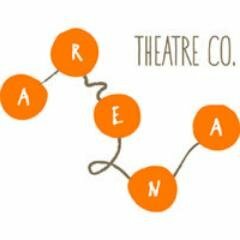 Arena Theatre will work with 15 young asylum seekers/recent arrivals from Footscray Community Arts Centre and 20 students from SEDA (Sports Education Development Australia) during 2015 to create a cross art-from project addressing issues of identity and place. The three-way artistic collaboration will result in a public performance towards the end of 2015. This project, Groundation (working title), provides both groups of at risk young people aged between 15-18 years the opportunity to engage in all facets of performing arts and exposes them to vocational training and learning in the arts industry. It also provides the opportunity for both groups of young people to connect and engage with each other, learn from each other’s diverse range of experiences as a central part of creating a shared creative outcome. The project will provide a unique opportunity for young people to explore issues of belonging and identity from the dual perspectives of Australians who have resided in this country for many years, and of Australians recently arrived. Breakaway Camps is an outdoor adventure program for young people who are financially and/or socially disadvantaged. The young people are from the cities of Darebin and Whittlesea, in Melbourne’s north. Breakaway Camps’ Focus on the Future weekend camps, supported by the Newsboys Foundation, are part of a four-year program for 14 and 15-year-olds. The camps encourage young people to think about issues such as education, goal-setting and their future, encouraging them to plan their way to a better life. The Year 13 Transition Support program will support the Caulfield Park Community School (CPCS) graduating students as they transition on from secondary school into an adult world. CPCS is a small school community that provides intensive support to their students (approximately 50 students enrolled). The aim of the program is to provide ongoing emotional, social and academic support to help young people in the next phase of their growth and development. As part of a three-year investment in the future of young people, the Newsboys Foundation continues to support Hands On Learning’s expansion into more schools in the Wimmera Mallee. At the beginning of 2014, 37 students from three partner schools in the Wimmera Mallee had participated in the project. By the end of the year 80 students from six partner schools had taken part. Hands On Learning helps to engender a sense of belonging, pride and friendship as well as skill development. Small groups work on creative building projects that benefit their school and local community. Importantly, the program greatly increases attendance and retention through building students’ self-esteem, a sense of personal achievement, and relationships with other young people and adult role models. With Newsboys Foundation support, Hands on Learning is seeking to expand the program’s reach to 10 schools in the Wimmera Mallee to directly engage with more than140 at-risk young people each year. Melbourne Youth Music provides a comprehensive music education program that encourages personal development and excellence for young musicians. Undertaking a schedule of regular rehearsals and tutorials, more than 1,000 young people from across Victoria take part in specialised workshops and in public performances throughout the year that demonstrate their abilities and achievements. The cost of instruments and lessons can be barriers to a music education. With support from the Newsboys Foundation, a financial assistance program is helping abolish these barriers by enabling financially disadvantaged young people to participate in the program. Providing specialist musical tuition also helps young people to achieve their full musical potential. Stories from Beneath the Vale is a partnership project between Robinvale P-12 School, Robinvale District Health Services, Murray Valley Aboriginal Co-operative and Phunktional to engage young people from Robinvale in a range of creative arts activities that lead to positive education, health and wellbeing outcomes. Phunktional will deliver arts workshops to local young people throughout the year resulting in a public performance at the end of 2015. The Extraordinary Lives program provides a range of services to young people who have a parent in prison. Ongoing support includes the opportunity to attend a camp with other young people who have an incarcerated parent, ongoing mentoring for people aged 11 to 16 and a birthday and Christmas gift for 1,000 young people each year. Reach will work in partnership with Northern Bay College in Geelong throughout the 2015 school calendar to deliver 12 interactive workshops for students in years 9 and 11. The workshops will be designed to engage, challenge and inspire participants and will focus on supporting personal development and encouraging young people to reflect on their choices. The content of the workshops will include: self-awareness, self-management, coping with change, social awareness, relationship management and “help seeking” – building a support network and asking for help when needed. Yalari provides Indigenous young people from remote, rural and regional communities with scholarships to attend leading Australian boarding schools. Indigenous educator Waverley Stanley started the program in 2005 to educate and empower Indigenous children to improve educational outcomes and lead generational change. The Newsboys Foundation grant will support a Victorian Indigenous student to attend Geelong Grammar. By December 2014, 109 Yalari students had graduated from school. A further 145 students were enrolled at 28 boarding schools across Australia. The Newsboys Foundation is helping Disability Media and Berendale School to provide a program “Media Training for young people with a disability”. Aimed at 15-to-18 year olds, the program provides hands-on training for young people with disabilities. It helps them to develop their media skills including camera, sound, art direction, performance, producing and editing. The training is tailored to suit the interests of each student and help them gain the skills and confidence to transition from school to employment. The Newsboys Foundation helped Gateway Community Health to fund a Young Person’s Support Officer to work with Highwater Theatre (HWT). The program supported young people aged 12-to-17 who had been neglected, traumatised and abused. Many of the young people had also experienced homelessness and foster care. The program supported young people to re-engage with education and create a new performance work about the experience of growing up in care. Jesuit Social Services runs the Fitzroy Lions Soccer Program, an after-school sports program for people aged 11-to-18 who live at the Fitzroy Public Housing Estate. The young people are from nations as diverse as Somalia, Sudan, China, Vietnam, Iran, Iraq, Afghanistan and Australia. They play sports such as soccer to improve their skills, stamina, physical health, self-esteem and boost their respect for each other. MASP is based in Mildura and has a 30-year history of supporting young people. The MASP Kokoda Youth Mentoring Program is a 12-month mentoring program for a minimum of 15 young people aged 16-to-18. The program aims to engage young people with education, training and employment through support and assistance provided by the mentors. The highlight of the program is for participants and mentors to walk the Kokoda Track together. YouthWorx is a social enterprise and it aims to engage 12 young people with disabilities in an upmarket op shop business run by Family Life. The young people will be based at the op-shop warehouse in Moorabbin and will also gain work experience in a Family Life Op Shop. Western Chances supports young people in Melbourne’s western suburbs who have an identified talent and motivation to realise their potential but lack the finances, networks and opportunities to pursue their goals. The Western Chances scholarship program, which is supported by the Newsboys Foundation, helps young people complete their education, broaden their skills, build their confidence and grow their networks. Ardoch Youth Foundation will provide a range of activities to help students at Monterey Secondary College to help them stay engaged at school and broaden their horizons. A range of initiatives to include: pathways and trade taster sessions, robotics project, year 12 study camp, student mentoring, excursions, mock interviews, speed career sessions and workplace visits. Chances is an education scholarship program for disadvantaged young people in the Boroondara area. The program contributes to the young person’s education costs, enabling them to fully participate in learning and complete their education. The foundation works closely with schools and provides young people with tailored ongoing support for the duration of their studies. Helping Hoops uses the sport of basketball to bring people from a multitude of cultures together in a free weekly basketball and life skills training program for young people. The Helping Hoops Sunshine program is aimed at young people from a refugee and multicultural background living in the western suburbs of Melbourne. The sporting intiative builds trust, promotes social inclusion, develops teamwork skills and encourages young people to complete their education. Grand Divisions, a new music and dance performance, is the third collaborative project between OUP, Melbourne Youth Music and Massive Hip Hop Choir. Through the program, 70 young people from diverse cultural, social and musical will come together, to learn from each other, push artistic boundaries and create a new artistic work fusing classical, contemporary and choral music accompanied by dance. The Children Ahead Program is an intensive evidence-based support program for young people who have witnessed or experienced serious violence. Programs can include, but are not limited to, individual, group or family counseling sessions, recreation activities and financial assistance to ensure young people have school books, uniforms and dental and mental health check-ups. This innovative case management model works collaboratively with relevant agencies to facilitate recovery from trauma and negative adjustment to violence. The program also places an emphasis on connecting each child to their community in order to build the child’s resilience. The University Pathways Program is designed to enable 75 young students from disadvantaged schools across Victoria to prepare for a tertiary education and a professional career. Many of the young people entering the program will be the first in their families to finish high school and plan to go to university. 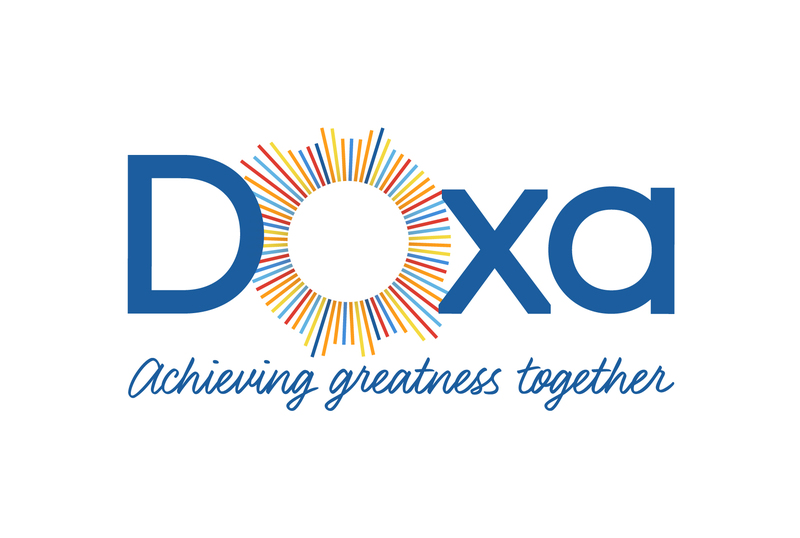 The four-year initiative will see three groups of 25 students come together once a year to attend a residential camp at the Doxa City Camp in Elizabeth Street, Melbourne. Activities will include site visits to universities, speakers and workshops. Starting in year 9, the program continues through years 10, 11 and 12. Ongoing mentoring and support will also be provided. Verney Road School, a special school in Shepparton that provides educational programs for students with mild-to-profound intellectual and/or multiple disabilities, is helping struggling students to develop their confidence and sense of wellbeing through a collaboration with UnitingCare Cutting Edge’s Horses for Hope program. Eight high-need students aged 11-to-18 will get the chance to attend 15 Horses for Hope sessions over a 12-month period. Students will be identified on an as-needs basis by the school social worker in consultation with their teachers. Learning to care for and ride a horse will give the students an out-of-school learning experience and boost in confidence that will help keep them engaged with their education. The Newsboys Foundation is supporting Banksia Gardens Community Services to provide three study group sessions per week for young people living on the Banksia Gardens Estate, Broadmeadows. Volunteers, including tertiary students, are an integral part of the Stronger Foundations Study program – providing one-on-one tutorial support for students attending the study group sessions. The program helps young people engage in education and to finish secondary school. Chunky Move will collaborate with Frankston Arts Centre and Yellow Wheel (a youth dance organization) to conduct a professional dance program with 20 young people aged 14-to-18 from Frankston. Supported by the Newsboys Foundation, the It Sounds Silly project represents a unique educational and artistic experience for young people from Frankston and a rare chance to perform a new dance work in the central shopping area of Frankston. 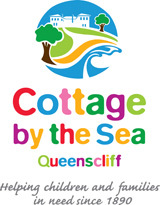 The Newsboys Foundation is supporting two camps organized by Cottage by the Sea. REEF camps promote Respect, Education, Environment and Friendship and are designed to help participants develop self-esteem, leadership skills and confidence, particularly during the transitional years from primary to secondary school. The camps have become an important, positive part of many young people’s formative years. The Newsboys Foundation is supporting 72 secondary students from Echuca Specialist School to travel to Swan Hill and take part in the annual Swan Hill Specialist School Sports Day. Two coaches will be hired to transport the students to and from the event. The sports day gives students with disabilities a chance to showcase their athletic talents and mix with peers from Swan Hill, Mildura, Bendigo, Shepparton and Maryborough. The sports day helps reduce geographic isolation and helps students feel part of a broader social group. The Newsboys Foundation is supporting the Mirabel Foundation in its mission to break the cycle of disadvantage, build self-esteem, encourage resilience and create a positive future. The Positive Futures Program is tailored to the needs of 15 young people aged between 13 and 17. The program includes six full-day interactive workshops, a challenge camp, a private Facebook group and ongoing support from Mirabel staff. The Youth Support and Advocacy Service (YSAS) is providing an engagement program to connect with young people who are experiencing drug, alcohol and/or mental health issues in Dandenong. The Graffi-Tees for Life program consists of four courses for 10 young people. Each group will learn graphic design skills, then design a tee shirt or hoodie and print their design directly onto a garment. During the course, young people will build their computer and design skills, their capacity for extended concentration and application, social skills, self-confidence, self-esteem and group-work skills. Additional health and welfare services will be made available to young people during and after the program to support them to work through the range of complex issues that they face. Pulse helps young people stay in education by building their belief in their own abilities through a program of participatory arts. With Newsboys support, Cohealth Arts Generator will offer a weekly program of rap, song writing and beat boxing to young people aged 11 to 18 living in Melton. Two local young South Sudanese people will be mentored and trained to help deliver the program over a 12-month period. Experienced emerging artists employed by Cohealth Arts Generator will also take part. The Boys, Blokes, Books and Bytes (bbb&b) project at Delacombe Primary School will develop a reading culture among adolescent boys through a series of activities in the primary school, secondary school, public library and community. Supported by the Newsboys Foundation, the activities will reflect the style of learning that appeals to boys and will involve blokes (one adult male to one boy) as positive role models and reading partners. The program will also help to prepare grade 6 boys for their transition to high school. Melbourne Youth Music provides a comprehensive music education program that encourages personal development and excellence for young musicians. Undertaking a schedule of regular rehearsals and tutorials, more than 1,000 young people from across Victoria take part in specialised workshops and in public performances throughout the year that demonstrate their abilities and achievements. The cost of instruments and lessons can be barriers to a music education. With support from the Newsboys Foundation, a financial assistance program abolished these barriers by enabling financially disadvantaged young people to participate in the program. Providing specialist musical tuition will also help young people to achieve their full musical potential. Polyglot will continue its work in Frankston North with students in year 6/7. The project, In My Skin, will build upon an existing three-year relationship with Mahogany Rise Primary School and support young people to have their say by making their own film and staging a performance in their local community. Through the process, young people will build their confidence and resilience and prepare for the transition to high school. 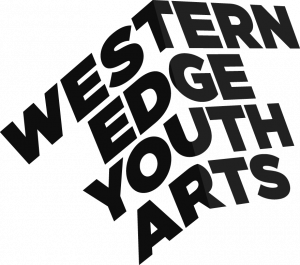 With Newsboys Foundation support, Western Edge Youth Arts provides an arts-based program for young people at Mount Alexander Secondary College, Flemington, and at Tate Street Primary School, Geelong. Western Edge has a positive ongoing relationship with each school and the program addresses the issue of young people failing to reach their potential in education because of economic disadvantage or social marginalisation as newly arrived migrants or refugees. Arts initiatives help young people improve their literacy, confidence and connection with their school. Youth for Christ provides a range of recreational and support activities – including outdoor adventure trips – for disadvantaged young people in Gippsland. The program, based in Warragul, aims to improve young people’s self-esteem and help them engage with education or employment. Anglicare Victoria, supported by the Newsboys Foundation, is in the third year of a three-year project to reach 3000 young people in the rural city of Ararat in western Victoria. The project, Making Ararat A Plus aims to strengthen young people’s engagement with education and training, improve their life skills and their physical and mental health. The project also aims to lift their aspirations for a meaningful life. Involving all local schools, government departments, local agencies and the community, the Making Ararat A Plus provides young people with training and support, builds relationships between stakeholders and ensures programs and services are fully accessible for young people. For the second year, Newsboys is supporting Berry Street in the development of a cognitive and non-cognitive skills curriculum. The curriculum is for disadvantaged students at the Berry Street Best School campuses at Noble Park, Morwell and Shepparton. The program includes direct work with young people, teacher training, support and supervision. Young people learn the skills necessary to support learning. As part of a three-year investment in the future of young people, the Newsboys Foundation continues to support Hands On Learning’s expansion into more schools in the Wimmera Mallee. To the beginning of 2014, 37 students from three partner schools in the Wimmera Mallee had participated in the project. Hands On Learning helps to engender a sense of belonging, pride and friendship as well as skill development. Small groups work on creative building projects that benefit their school and local community. Importantly, the program greatly increases attendance and retention through building students’ self-esteem, a sense of personal achievement, and relationships with other young people and adult role models. With Newsboys support, Hands on Learning is seeking to expand the program’s reach to five schools in the Wimmera Mallee to directly engage with more than100 at-risk young people each year. The Melbourne Academy, an initiative of Melbourne City Mission, was established to provide support to young people who are disengaged from education. The Academy provides a safe learning environment for young people to help them complete their secondary education or a range of certificate qualifications. Intensive support is provided to enable young people to address homelessness, mental health and drug and alcohol issues. Follow-up support is provided for 12 months at the completion of the program. TANDERRUM is a celebration and spiritual gathering of the five communities that make up the Kulin nation, the traditional owners of much of south-eastern Victoria, including Melbourne. TANDERRUM forms the official opening of the 2013, 2014 and 2014 Melbourne Festival. Combining dance, music, performance and storytelling with cultural traditions that stretch back more than 40,000 years, TANDERRUM celebrates the culture of the land’s traditional owners and welcomes people to country. The dance workshop element of TANDERRUM trains members of each community in the dance presentation that will be that community’s offering to the TANDERRUM. 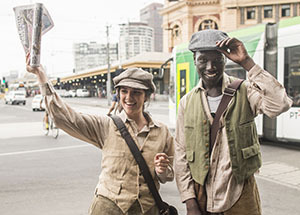 The experience helps connect young people with their community by engaging them in a research process into the history of Aboriginal dance particular to south-eastern Victoria. In 2014, about 50 Indigenous young Victorians between the ages of 11 and 18 will participate in the dance workshops and in the TANDERRUM ceremony that will open the Melbourne Festival in October. Transitioning from school to adult life is challenging at the best of times. These challenges are even more pronounced for young people who are deaf or hard of hearing. Additional issues include communicating and gaining equal access to services and information. Deaf and hard of hearing young people are often left at a disadvantage. The Transition to Adulthood for Deaf Youth (TTA) program is a series of workshops covering topics that prepare deaf and hard of hearing young people to move into employment and further education. The program will be presented in Auslan – Australian sign language – to ensure that the participants can fully understand and engage with the information presented. Australian National Academy of Music (ANAM), supported by the Newsboys Foundation, is helping a range of organisations that are also supported by the Newsboys Foundation to enable young people from these organisation to attend music concerts, masterclasses, rehearsals, seminars and other events. Through ANAMates memberships, special events will be organised and many young people will get to meet young musicians which will help to inspire the young people to build their own future and to enhance their confidence. The Banyule Housing Support Group provides short to medium term housing for families and individuals. The group manages 14 houses, providing homes for people who would otherwise be homeless. The Newsboys Foundation is helping Banyule Housing Support Group to keep vulnerable young people engaged with education by covering expenses for young people such as purchasing laptop computers and paying for school camps, sporting club expenses, health-related expenses and school holiday programs. Breakaway Camps is an outdoor adventure program for young people who are caught up in the welfare system and who are financially or socially disadvantaged. The young people are mostly aged between 10 and 15 and are usually from the cities of Darebin and Whittlesea, in Melbourne’s north. Breakaway Camps’ Focus on the Future weekend camps are part of a four-year program for 14 and 15-year-olds. The camps encourage young people to think about issues such as education, goal-setting and their future, encouraging them to plan their way to a better life. Encouraging children to live life to the full is the aim of the Community Living & Respite Services’ before and after school care holiday programs for young people with disabilities. The programs, supported by the Newsboys Foundation, are located in Echuca, Lockington, Rochester, Cohuna and Kyabram. They engage young people in a range of fun and educational activities. A social skills program for young people with autism is also conducted with support from the Newsboys Foundation. Jesuit Social Services works to build a just society by advocating for social change and promoting the health and wellbeing of disadvantaged people. JSS runs the Fitzroy Lions Soccer Program, an after-school sports program for people aged 11 to 18 who live at the Fitzroy Public Housing Estate. The young people are from nations as diverse as Somalia, Sudan, China, Vietnam, Iran, Iraq, Afghanistan and Australia. They play sports such as soccer to improve their skills, stamina, physical health, confidence, self-esteem and boost their respect for each other. Kids Under Cover was launched in 1989 to house and support at-risk and homeless children and young people who had suffered abuse and neglect in Victoria. The Kids Under Cover Scholarship Program provides financial support to at-risk young people living in Kids Under Cover houses and studios who are engaged (or are looking to re-engage) with education and job training. Kids Under Cover’s combination of accommodation with scholarship support targets at-risk young people as part of an early-intervention strategy to prevent homelessness. 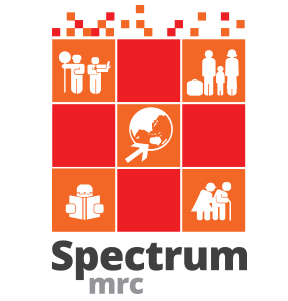 Spectrum Migrant Resource Centre (MRC) is a non-profit organisation that was established in 1980 to provide settlement services for migrants and refugees in Melbourne’s north. 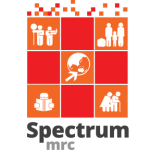 The Spectrum Education Support Program provides a weekly homework group program for students. The program is based in Preston and is supported by qualified staff and a range of community volunteers – including students and tutors from La Trobe University. The creation of the Victorian Opera Youth Chorus Ensemble (VOYCE) will help make opera and music education more accessible to young people from disadvantaged backgrounds. A Newsboys Foundation grant is helping young people get the opportunity to participate in a professional choir on an ongoing basis and receive high-quality tuition. The broader benefits to young people include greater levels of cultural understanding, empathy, mutual respect and self-sufficiency. Western Chances supports young people in Melbourne’s western suburbs who have an identified talent and motivation to realise their potential but lack the finances, networks and opportunities to pursue their goals. The Western Chances scholarship program, which is supported by the Newsboys Foundation, helps young people complete their education, broaden their skills and build their confidence. Yalari provides Indigenous children from remote, rural and regional communities with scholarships to attend leading Australian boarding schools. Indigenous educator Waverley Stanley started the program in 2005 to educate and empower Indigenous children to lead generational change. Currently there are 180 Yalari scholars at 33 partner school across Australia. In addition, 60 Yalari students have completed their secondary education since 2010. The students are from more than 100 Indigenous communities. The Newsboys Foundation grant sponsors a Victorian student at Geelong Grammar. Disability Media Australia grew out of the successful community television series about disability No Limits. Founded in 2005, it works to increase the visibility of people with disabilities in the media, by sharing their stories and their talent. The Newsboys Foundation is helping Disability Media (previously known as Grit Media) and Berendale School to provide a pilot program “Media Training for young people with a disability”. Aimed at 15-to-18 year olds, the program provides two years’ training for young people with disabilities. It will help them to develop their media skills including camera, sound, art direction, performance, producing and editing. The training will be tailored to suit the interests of each student and help them gain the skills and confidence to transition from school to employment. Guide Dogs Victoria aims to provide high-quality mobility training and support to every blind and vision impaired Victorian who needs help to achieve their maximum independence. The Newsboys Foundation is helping Guide Dogs Victoria provide a camp for 15 young people who are blind or visually impaired. The 11-to-18 year olds will be helped to develop their mobility skills at a five-day residential camp at Guide Dogs Victoria. The camp will also provide important opportunities for the young participants to develop their self-confidence and make new friends. Righteous Pups Australia’s Bridging the Gaps Program is for disadvantaged young people aged 11-to-18 from Bendigo and surrounding areas. The program will work with 35 at-risk young people for 12 months within an animal therapy/dog training setting. A qualified therapist and an accredited professional dog trainer will work with a small group of at-risk young people to set therapeutic goals, guide the interactions between the dog and each young person, and monitor the progress each young person makes towards reaching their agreed goals. Keeping at-risk young people engaged with learning and education underpins all aspects of the program. St Kilda Youth Service (SKYS) has been operating in the City of Port Phillip since 1982. It specialises in engaging young people with complex needs through its young-person centred approach. The Newsboys Foundation helped SKYS fund HEAT (Hospitality, Employment and Training), an accredited hospitality training, work experience and employment program for young people. The program includes a social enterprise, HEAT Catering, which provides young people with accredited traineeships and employment. 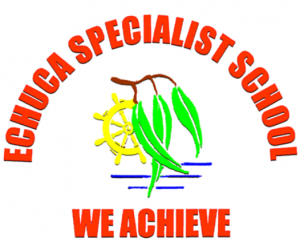 Baringa Special School, in Moe, teaches students with mild intellectual disabilities and a variety of learning challenges – such as autism, ADHD, Down syndrome, trauma and mental health issues. Students range in age from five to 18. The Newsboys Foundation helped Baringa Special School buy 10 cross country bikes for use by students aged 13-to-18. The bikes will be in integral part of the outdoor education program and help increase students’ range of skills from bike riding to road safety, from bike maintenance to leadership skills, communication, teamwork and resilience. Mountain bike riding will also enhance the students’ physical fitness, helping improve their emotional and social health. Helping Hoops uses basketball to bring people from a multitude of cultures together in a free weekly basketball and life-skills training program for young people. The program, aimed at young people from a refugee and multicultural background living in the western suburbs of Melbourne, builds trust, promotes social inclusion, develops teamwork skills and encourages young people to complete their education. The Alannah and Madeline Foundation was set up in memory of Alannah and Madeline Mikac, aged 6 and 3, who, with their mother and 32 others, were killed at Port Arthur in 1996. The Newsboys Foundation helped the the Alannah and Madeline Foundation fund an intensive evidence-based support program for young people who had witnessed or experienced serious violence. Programs include individual, group or family counselling sessions, recreation activities and financial help to ensure that young people have school books, uniforms and dental and mental-health check-ups. This program works collaboratively with relevant agencies to facilitate recovery from trauma and negative adjustment to violence. It also places an emphasis on connecting children to their community in order to build resilience. Caulfield Park Community School received a grant to help build a multi-sports court at the school. The sports court is designed to help improve the health, wellbeing and self-esteem of students through the delivery of a range of sport-based programs as part of the curriculum. The court will create an activity space that can be used before and after school and at lunchtime. It is envisaged that the students will experience increased social and school connectedness through programs and partnerships with the broader community. The Newsboys Foundation helped Cloverdale Care set up a healthy breakfast program for more than 90 secondary school students at Northern Bay College in Corio. A healthy breakfast is a proven method of helping boost students’ concentration, which in turn helps their success at school and leads to positive results later in life. 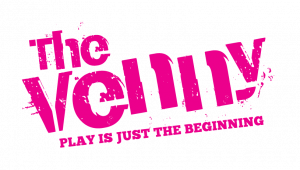 The Newsboys Foundation has helped Gateway Community Health to fund a Young Person’s Support Officer to work with HighWater Theatre (HWT). The program will support young people between 12 and 17 years who have been neglected, traumatised, and abused. Many of the young people have also experienced homelessness and foster care. The program will support young people to re-engage with education and will also create a new performance work about the experience of growing up in care. Melbourne Youth Music’s Melbourne Youth Orchestra will travel to Christchurch, New Zealand, to perform with the Christchurch Symphony Orchestra and New Zealand-based massed choirs for a special performance of Gustav Mahler’s epic Symphony No. 2 in C minor “Resurrection”. The work has been selected to represent the recovery process and resilience of Christchurch and its people in the wake of the devastating earthquake of 2011. The project will be an extraordinary collaboration between two countries and will provide a unique learning opportunity for talented young Victorian musicians. This grant is made in honour of Miss Betty Amsden OAM, in recognition of her support for the Newsboys Foundation. The Newsboys Foundation has helped St Lukes Anglicare with the R2R Music Engagement Program for young people at risk of disengaging from education at Crusoe Secondary College in Bendigo. St Lukes believes that the school model doesn’t suit every young person and sees the R2R Music program as an opportunity to provide meaningful learning options to help students thrive, and to nurture any relationship that young people already have with education providers. Fifty secondary students from Echuca Specialist School were helped to travel to Swan Hill to take part in the annual Swan Hill Sports day. Two coaches were hired to help students make the journey. The sports day gave Echuca students with disabilities a chance to showcase their athletic talents and mix with students from Swan Hill, Mildura, Bendigo and Maryborough. Among the benefits were the reduction of geographic isolation and helping students feel part of a broader social group. The Bridging the Gaps Program is for disadvantaged young people aged 11 to 18 from Bendigo and surrounding areas. The program worked with 20 at-risk young people (four groups of five people) one day a week for 12 months within an animal therapy/dog training setting. A qualified therapist and an accredited professional dog trainer worked with a small group of at-risk young people to set therapeutic goals, guide the interactions between the dog and each young person, and monitor the progress each young person made towards reaching their agreed goals. Keeping at-risk young people engaged with learning and education underpinned all aspects of the program. One mother said her daughter had made more progress in learning to read in six months with weekly tutoring than in four years of school. The literacy program for 25 indigenous young people in the Ballarat and surrounding areas included one-on-one literacy tutoring, homework club, literacy and heritage camps, books and reading support material. How do you build young peoples’ engagement with school and boost their reslilience at the same time? Alexandra District Hospital created a mountain-bike riding program for 20 young people who were at risk of disengaging from education. The community program worked closely with the Alexandra Secondary College. Encouraging children to live the life they choose is the aim of the Community Living & Respite Services’ before and after-school care holiday programs for young people with disabilities. The programs, in the Echuca, Lockington, Rochester, Cohuna and Kyabram areas, engaged the young people in a range of fun and educational activities. Run by staff who are able to manage the young peoples’ complex needs, a social skills program for young people with autism was also due to be conducted in the second year. The Newsboys Foundation provided support to help young people with disabilities travel to Queensland to take part in an Advanced Life Saving Program camp. Frankston Special Development School was helped to buy tents and self-inflating mattresses for use by young people at the school who were taking part in the Duke of Edinburgh Bridge Award. The award included an overnight bush walk. Keeping students engaged with learning and education was one of the key results of a program of recreational activities and community-based learning experiences that continued through the school year for young people with disabilities at Verney Road School in Shepparton. Through the activities, young people learned social and team-work skills, developed their physical fitness and participated more fully in the community. Northern Bay College in Geelong developed a leadership program for 100-to-140 students in Year 11 to enhance the students’ engagement in school. The program included a study skills camp at Deakin University, training students to become volunteer mentors to younger students and trade taster sessions through the Geelong Technical Education Centre. Helping Hoops used the sport of basketball to bring people from a multitude of cultures together in a free weekly basketball and life skills training program for young people. The program, aimed at young people from a refugee and multicultural background living in the western suburbs of Melbourne, built trust, promoted social inclusion, developed teamwork skills and encouraged young people to complete their education. The Fitzroy Lions Soccer Program is an after-school sports program for people aged 11 to 18 who live at Fitzroy Public Housing Estate. The young people are from Somalia, Sudan, China, Vietnam, Iran, Iraq, Afghanistan and Australia. They play sports such as soccer to improve their skills, confidence, self-esteem and respect for each other. Urban Chamber is part of a collaborative project with 70 young people from Outer Urban Projects and Massive Hip Hop Choir that will result in a new performance – Urban Chamber. Young people from diverse cultural, social and musical backgrounds have come together to learn from each other, push artistic boundaries and create an artistic work fusing classical, contemporary and choral music accompanied by dance. Urban Chamber will be performed as part of the Melbourne Festival in October 2013. Western Chances supports young people in Melbourne’s western suburbs who have an identified talent and motivation to realise their potential but lack the finances, networks and opportunities to pursue their goals. The scholarship program helps young people complete their education, broaden their skills and build confidence. They called it “Making Ararat A Plus”. It is a three-year project for more than 3000 young people in the rural City of Ararat, in western Victoria. It aims to increase and strengthen young peoples’ engagement with education and training, improve their life skills and physical and mental health, and lift their aspirations for a meaningful and positive life. Involving all schools, government departments, local agencies and the community, the project provides the young people with training and support, builds relationships between stakeholders, encourages existing agencies and groups to share their needs and opportunities, and ensures existing programs and services are fully utilised. Australian National Academy of Music (ANAM) helped the Mirabel Foundation, St Kilda Youth Services (SKYS), Anglicare Victoria, Whitelion and the School of Hard Knocks to enable young people from each organisation to attend a range of music concerts, masterclasses, rehearsals, seminars and other events throughout 2013. Through ANAMates memberships, special events were organised to enable the young people to meet and talk with young musicians throughout the year in order to inspire the young people to build their confidence and dreams for their own future. Courtney, aged just 14, wanted to be a hairdresser but couldn’t see how it could ever happen. After she returned from a Breakaway Camps “Focus on the Future” weekend camp her perspective had changed completely. “Now I feel I could actually do it,” she said. The camps are part of a four-year program, for 14 and 15-year-olds from Melbourne’s northern suburbs. They encourage young people to think about issues such as education, goal-setting and their future, encouraging them to plan a pathway to a better life. The cost of buying an instrument and lessons can be a barrier to a talented young person’s music education. With support from the Newsboys Foundation, a financial assistance program removed these barriers by covering these costs, enabling financially disadvantaged young people to participate in the 2013 Ensemble Program & John Antill Youth Band run by Melbourne Youth Music. Melbourne Youth Music provides a comprehensive music education program that encourages personal development and excellence for young musicians. Undertaking a schedule of regular rehearsals and tutorials, more than 1000 participants from across Victoria take part in specialised workshops and demonstrate their achievements at public performances throughout the year. Providing specialist musical tuition and new band opportunities also help young people to achieve their full potential. There is only one place suitable to encourage teamwork and positive social relationships. And that is a safe place. Robinvale Youth School Holiday Program provided young people living in the Robinvale community with a safe, structured and accessible program where they can participate in positive activities during the summer school holidays. Each day there was a healthy lunch and a planned activity. The activities encouraged teamwork and positive social relationships. If you can’t stand the heat, get out of the kitchen, the adage says. But HEAT (Hospitality, Employment and Training) goes out of its way to draw young people into the kitchen. It is an accredited hospitality training, work experience and employment organisation for young people. The program includes a social enterprise, HEAT Catering, which provides young people with accredited traineeships and employment. The New Hope Foundation provided after-school homework program for students from a refugee background. The program was conducted at the Werribee Secondary College, Werribee Primary School and Laverton College. Students were helped with their homework by volunteers. A healthy after-school snack was also provided. The program helped young people improve their academic skills and also built a sense of belonging to the community. The Sea Country Project provided young people at Thornbury High School with the opportunity to go out on a yacht on Port Phillip Bay with recognised elder, Aunty Caroline Briggs, to learn about indigenous sea stories. The experience was complemented with information provided by scientists during the trip. Young people then created digital stories that were launched at Signal during NADOC Week in July 2013. Yalari provides indigenous children from remote, rural and regional communities with scholarships to attend leading boarding schools. Indigenous educator Waverley Stanley started the program in 2005 to educate and empower indigenous children to lead generational change. Yalari supports 191 indigenous children at 33 partner schools across Australia. The students are from more than 100 indigenous communities. Yalari’s goal is to have more than 250 students on scholarships by 2015. The Newsboys Foundation grant sponsors a Victorian student at Geelong Grammar. It’s a quote for the ages: “I’m finding new ways to practice being courageous in the tough times I am facing,” said James, a 14-year-old student. But he did not face those tough times alone. Berry Street developed a cognitive and non-cognitive skills curriculum for disadvantaged students at the Berry Street Best School campuses at Noble Park, Morwell and Shepparton. The program included direct work with young people such as James, teacher training, support and supervision. Everyone loves a challenge and Blackwood Special Schools Outdoor Education Centre developed new activities, including a new low-ropes course that is wheelchair-accessible, and expedition equipment. The activities allowed students to discover and appreciate the Australian bush. Hands on Learning cultivates a sense of belonging and provides tangible learning opportunities and the chance for students to experience success. The Newsboys Foundatation is helping to expand the Hands On Learning Program to four schools in the Wimmera Mallee over a three-year timeframe. XL (Extraordinary Lives) Teen Mentoring ran a series of weekend camps for young people aged 13 to 16 who have a parent in prison. A feature of the camp was one-on-one mentoring. Activities included bushwalking, bike rides and cooking meals. The activities and challenges are designed to build resilience, improve social skills and provide experience in working as a team. Vermont South Special School ran a camping program for intellectually disabled students as an alternative and complementary learning environment for students with disabilities. The focus was on “preparing children for life”. Activities were designed to improve student’s social, communication, teamwork and independent living skills. The Newsboys Foundation helped ensure that all young people were able to participate in the camps regardless of their family’s socio-economic status. The Creative Transitions program, which used the arts to build engagement in education, provided three separate but related arts-based programs for young people in Flemington. Creative Transitions addressed the issue of culturally and linguistically diverse young people aged 11-18 in the Flemington area who were failing to reach their full potential in education because of economic disadvantage or social marginalisation as newly arrived migrants/refugees. Arts initiatives helped and supported young people to make the transition from primary to secondary school. Lessons in African drumming, in a program called StreetBeats, were used as a way of engaging at-risk young people in learning and skills development. The program aimed to help young people complete their secondary education. The FLO (Flexible Learning Options) Program conducted an individualised applied learning program for up to 15 year 8 and 9 students at Castlemaine Secondary College who were at risk of dropping out of school. REEF camps promote Respect, Education, Environment and Friendship and were designed to help participants develop self-esteem, leadership skills and confidence, particularly during the transitional years from primary to secondary school. Polyglot aims to build a future where children are empowered artistically and so continued its work in Frankston North with students in years 6 and 7. The project, GRIT, built on an existing two-year relationship with Mahogany Rise Primary School and enabled young people to have a voice. Through the project, the young people created their own show which was to be presented to their local community. During the process, young people built their confidence and resilience and prepared for the transition to high school. The Australian Ballet School’s vocational ballet training program is an intensive eight-level course aimed at producing dancers of the highest international standard who are technically outstanding, artistic, educated and can successfully represent their art form both locally and internationally. Students are from across Australia and around the world. The aim of the school’s bursary program is to ensure that no student is prevented by financial constraints from training at the school. This grant supported a talented young student to attend Level 6 in 2013. The Mirabel Positive Futures Program is tailored to the needs of 12 young people aged between 14 and 17. The program included a camp at the beginning of the program, six full-day interactive workshops, regular follow-ups and a four-day group bike ride. The program was an important initiative in the continuum of care provided to Mirabel young people so they can break the cycle of disadvantage, build self-esteem and a positive future. Urban Seed continued to run the Edge Program at Gilmore Girls Secondary School in Footscray. The weekly program with students focused on the themes of belonging, mastery, independence and generosity. The program involved a mix of leadership and community development training to address physical, social and emotional issues. Positive and supportive relationships were developed with students to ensure they developed the skills they need to overcome adversity and remain engaged in education. Barkly Arts Centre worked with culturally diverse young people from Ballarat and the western region of Melbourne to create a music-theatre performance, Fate. Through the process, young people were mentored and supported by talented emerging artists, creating learning and employment pathways. CHANCES Student Support Program is an education scholarship program for disadvantaged young people in the Boroondara area. The program contributes to the young person’s education costs, enabling them to fully participate in learning and complete their education. Foundation Boroondara works closely with schools and provides young people with tailored ongoing support for the duration of their studies. Hip Hop can be a powerful way to engage young people and reinforce positive messages, enabling the young composers and performers to tell their stories and express themselves. It also helps improve language and literacy skills. RAP3021 is a hip hop writing and performing arts program for young refugees and migrants in St Albans. The program provides opportunities for emerging artists to record and perform at the Arts Centre. RAP3021 also includes opportunities to be a part of a support crew, which organises music events and school holiday programs. Portland Secondary College planned to establish a social enterprise – the Whalers Cafe and Reading Lounge – which would engage students at the college and train them in hospitality skills. This program was designed to encourage the retention of students to complete year 12. Southern Ethnic Advisory and Advocacy Council provided a homework group in Springvale for 20-30 secondary students who are newly arrived to Australia. The homework group meets twice a week and is supported by a part-time coordinator and 12 volunteer tutors. YouthWorx Expansion – Warehousing and Logistics, is a social enterprise run by Family Life to engage disadvantaged young people in training, volunteering and working in a warehouse in Moorabbin that supplies four “upmarket’ op shops located in Frankston, Chelsea, Hampton and Cheltenham. The students had the opportunity to achieve certificate qualifications. The Spina Bifida Foundation sought support for a group of eight young people aged 11 to 18 who have spina bifida to participate in a weekend ski trip to Falls Creek in August 2013. The camp was part of an integrated program of activities throughout the year. Tomorrow Today Foundation’s student wellbeing and transition program enabled secondary school students to be mentored by trained volunteers and to participate in sports, arts and recreation activities, enhancing their connection to the local community and school. The Benalla Education Program takes a whole-of-community approach over a 10-year period to address social disadvantage.